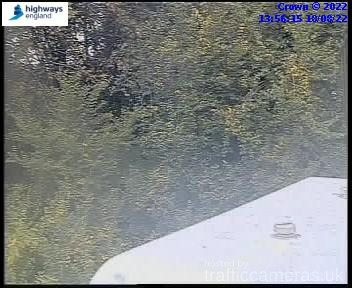 Latest CCTV traffic image from camera #338 on the M1 road. 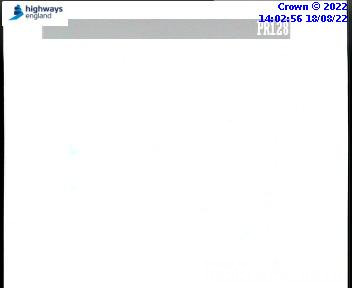 Latest CCTV traffic image from camera #339 on the M1 road. 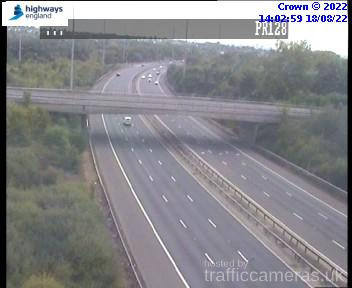 Latest CCTV traffic image from camera #340 on the M1 road. 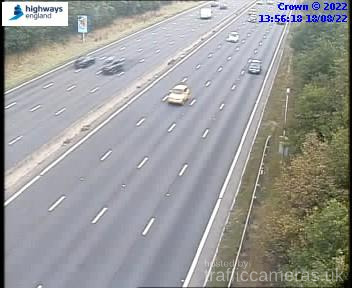 Latest CCTV traffic image from camera #341 on the M1 road. 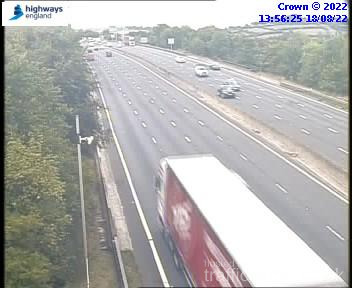 Latest CCTV traffic image from camera #342 on the M1 road. 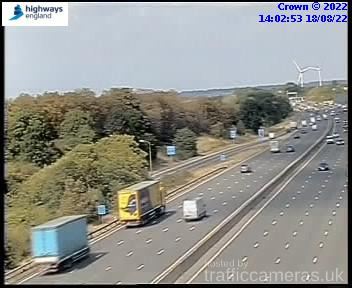 Latest CCTV traffic image from camera #343 on the M1 road. 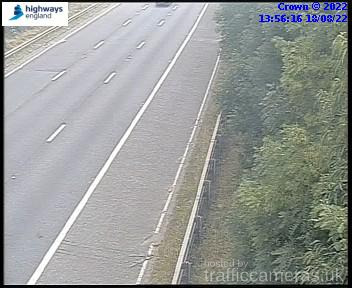 Latest CCTV traffic image from camera #344 on the M1 road. 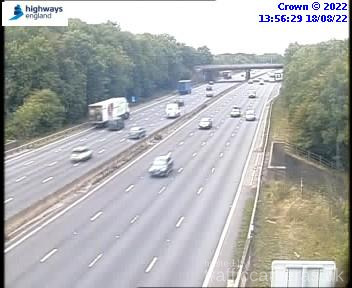 Latest CCTV traffic image from camera #345 on the M1 road. 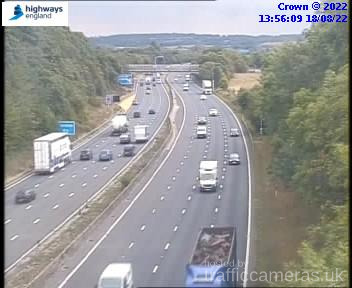 Latest CCTV traffic image from camera #346 on the M1 road. 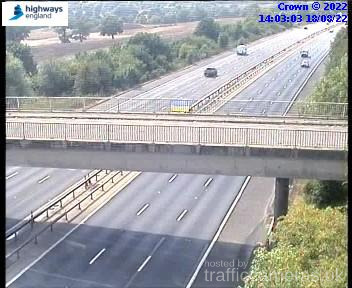 Latest CCTV traffic image from camera #347 on the M1 road. 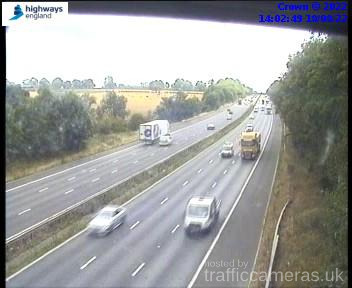 Latest CCTV traffic image from camera #348 on the M1 road. 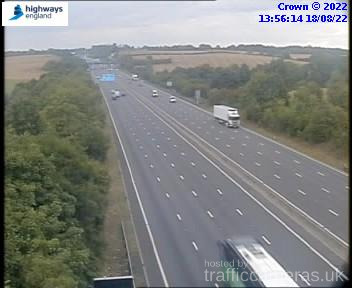 Latest CCTV traffic image from camera #349 on the M1 road. 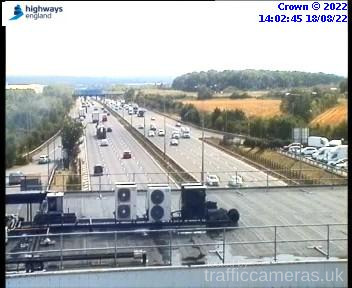 Latest CCTV traffic image from camera #350 on the M1 road. 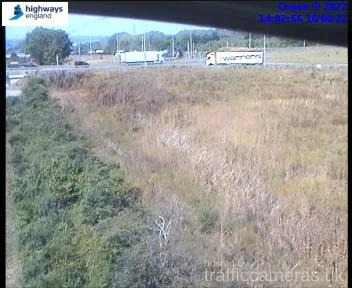 Latest CCTV traffic image from camera #351 on the M1 road. 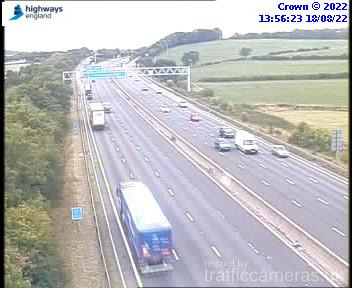 Latest CCTV traffic image from camera #352 on the M1 road. 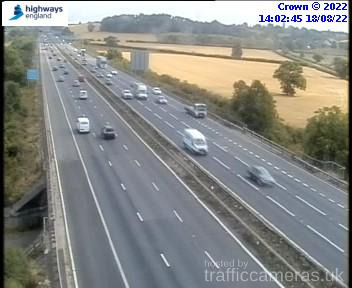 Latest CCTV traffic image from camera #353 on the M1 road. 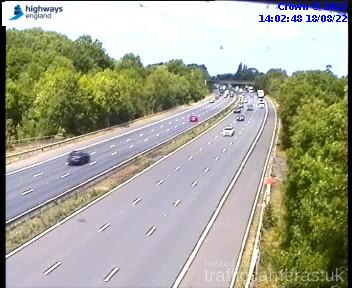 Latest CCTV traffic image from camera #354 on the M1 road. Latest CCTV traffic image from camera #355 on the M1 road. 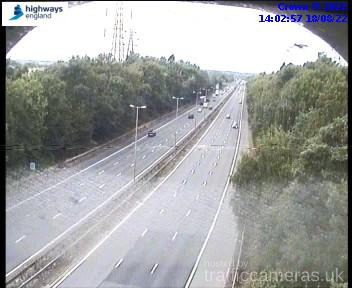 Latest CCTV traffic image from camera #356 on the M1 road. Latest CCTV traffic image from camera #357 on the M1 road. 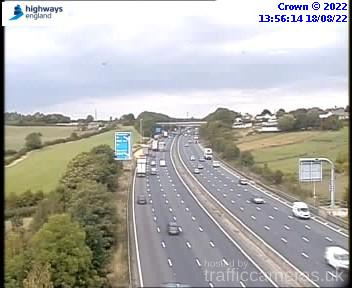 Latest CCTV traffic image from camera #358 on the M1 road. 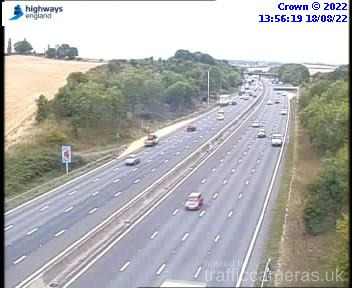 Latest CCTV traffic image from camera #359 on the M1 road. 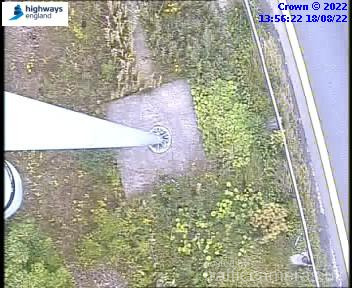 Latest CCTV traffic image from camera #360 on the M1 road. Latest CCTV traffic image from camera #361 on the M1 road. 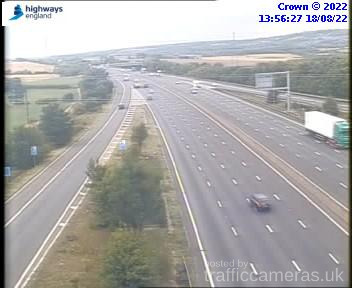 Latest CCTV traffic image from camera #363 on the M1 road. 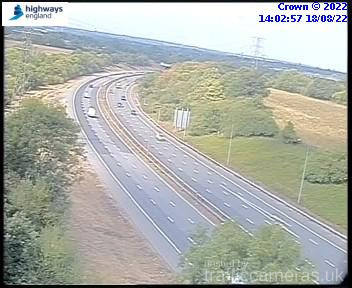 Latest CCTV traffic image from camera #364 on the M1 road. 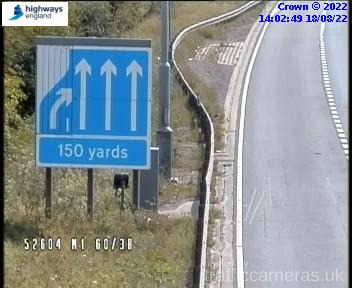 Latest CCTV traffic image from camera #365 on the M1 road. 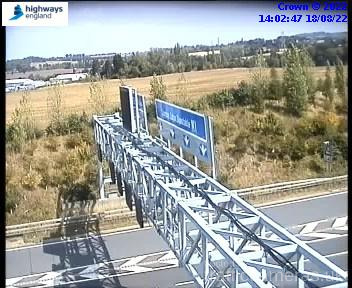 Latest CCTV traffic image from camera #366 on the M1 road. 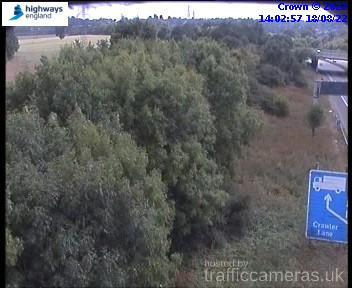 Latest CCTV traffic image from camera #367 on the M1 road. 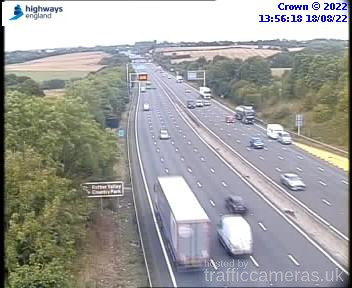 Latest CCTV traffic image from camera #368 on the M1 road. Latest CCTV traffic image from camera #369 on the M1 road. Latest CCTV traffic image from camera #370 on the M1 road. 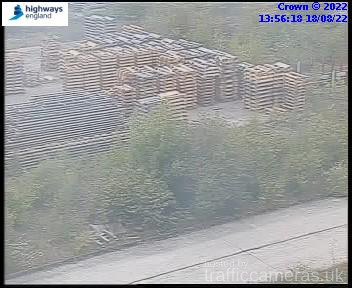 Latest CCTV traffic image from camera #371 on the M1 road. 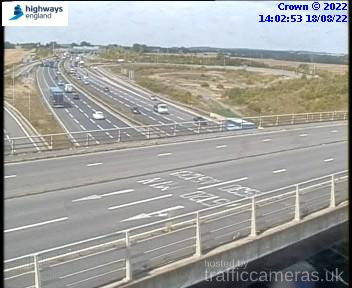 Latest CCTV traffic image from camera #373 on the M1 road. 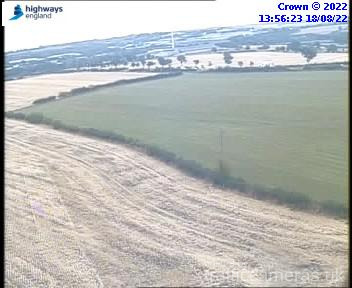 Latest CCTV traffic image from camera #374 on the M1 road. Latest CCTV traffic image from camera #375 on the M1 road. 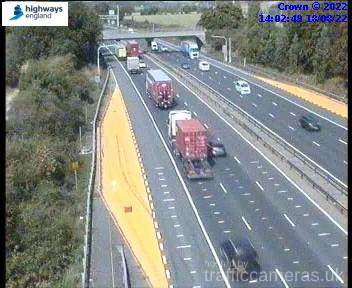 Latest CCTV traffic image from camera #376 on the M1 road. Latest CCTV traffic image from camera #377 on the M1 road. Latest CCTV traffic image from camera #378 on the M1 road. Latest CCTV traffic image from camera #379 on the M1 road. Latest CCTV traffic image from camera #380 on the M1 road. 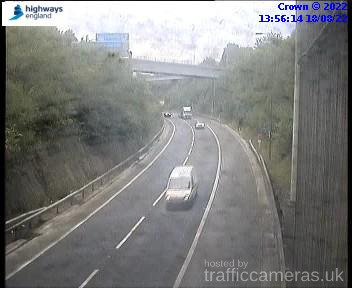 Latest CCTV traffic image from camera #381 on the M1 road. 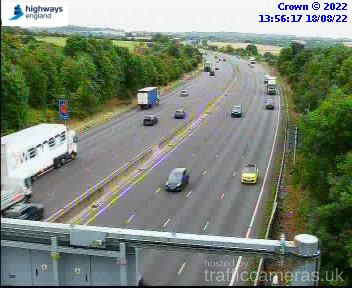 Latest CCTV traffic image from camera #382 on the M1 road. 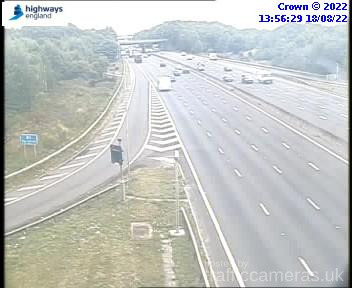 Latest CCTV traffic image from camera #383 on the M1 road. 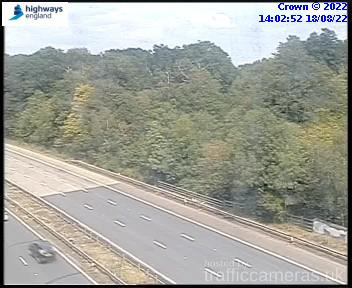 Latest CCTV traffic image from camera #384 on the M1 road. 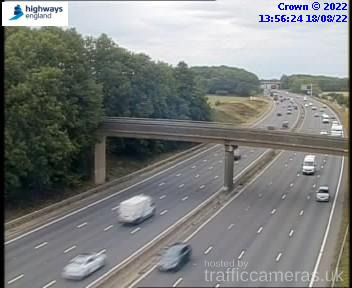 Latest CCTV traffic image from camera #385 on the M1 road. 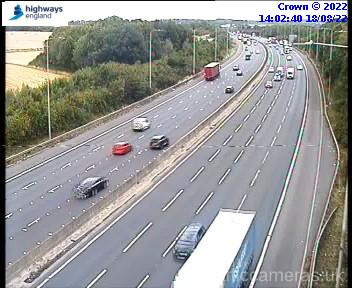 Latest CCTV traffic image from camera #386 on the M1 road. 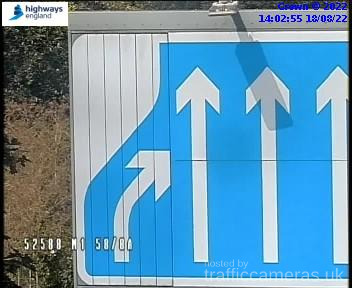 Latest CCTV traffic image from camera #387 on the M1 road. 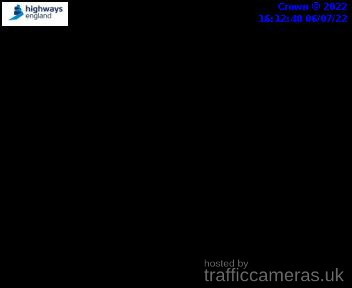 Latest CCTV traffic image from camera #388 on the M1 road. 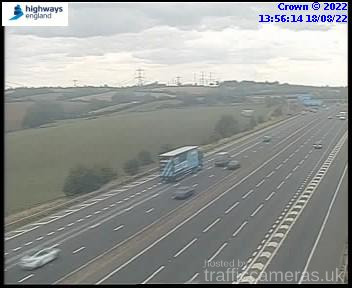 Latest CCTV traffic image from camera #389 on the M1 road. 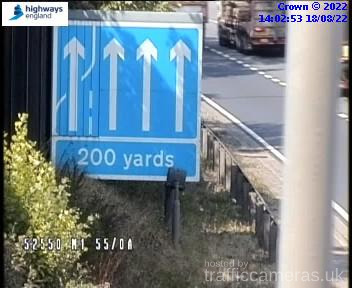 Latest CCTV traffic image from camera #390 on the M1 road. 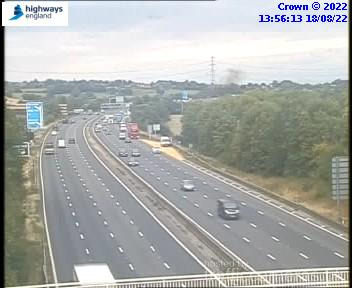 Latest CCTV traffic image from camera #391 on the M1 road. 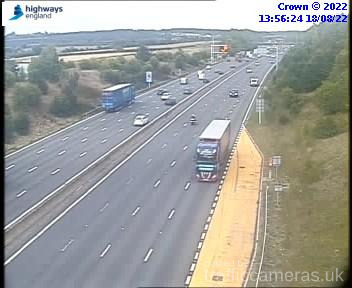 Latest CCTV traffic image from camera #392 on the M1 road. 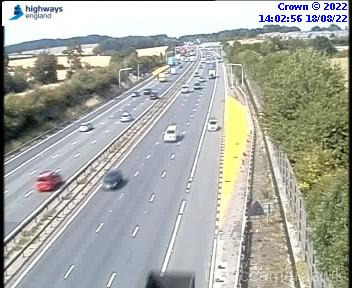 Latest CCTV traffic image from camera #393 on the M1 road. 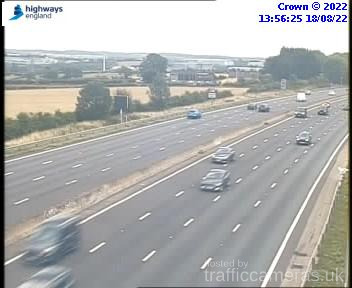 Latest CCTV traffic image from camera #394 on the M1 road. 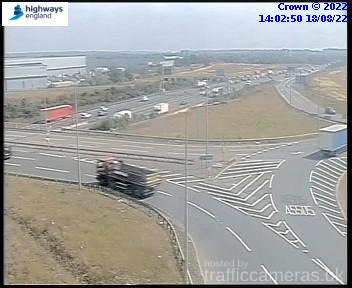 Latest CCTV traffic image from camera #395 on the M1 road. 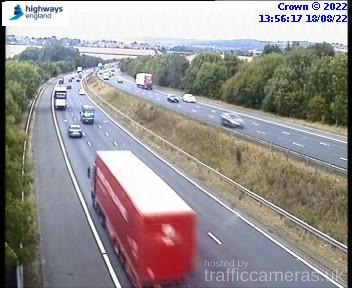 Latest CCTV traffic image from camera #396 on the M1 road. 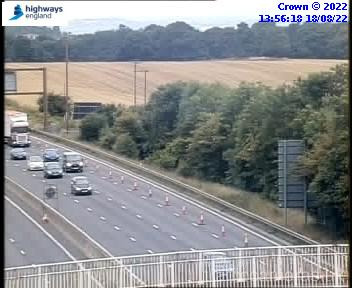 Latest CCTV traffic image from camera #397 on the M1 road. 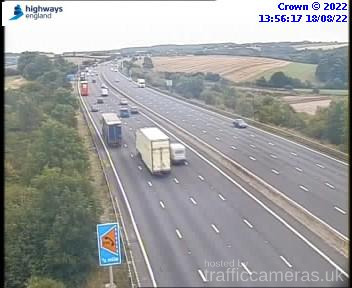 Latest CCTV traffic image from camera #398 on the M1 road. 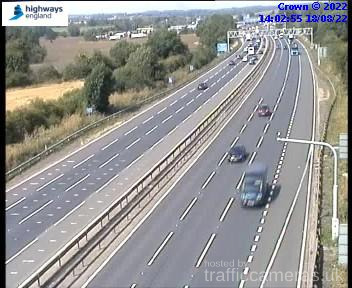 Latest CCTV traffic image from camera #399 on the M1 road. 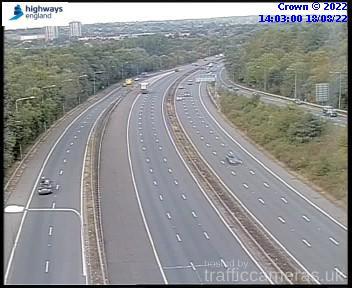 Latest CCTV traffic image from camera #400 on the M1 road. Latest CCTV traffic image from camera #401 on the M1 road. 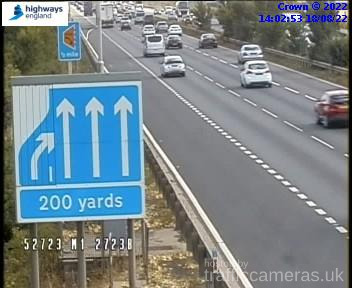 Latest CCTV traffic image from camera #402 on the M1 road. Latest CCTV traffic image from camera #403 on the M1 road. 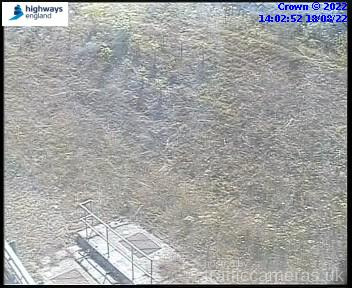 Latest CCTV traffic image from camera #404 on the M1 road. Latest CCTV traffic image from camera #405 on the M1 road. Latest CCTV traffic image from camera #406 on the M1 road. Latest CCTV traffic image from camera #407 on the M1 road. 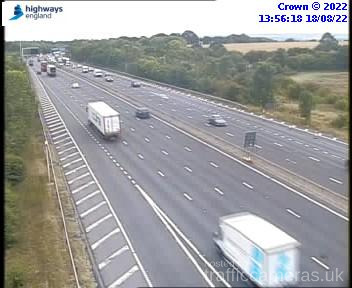 Latest CCTV traffic image from camera #408 on the M1 road. Latest CCTV traffic image from camera #409 on the M1 road. Latest CCTV traffic image from camera #410 on the M1 road. 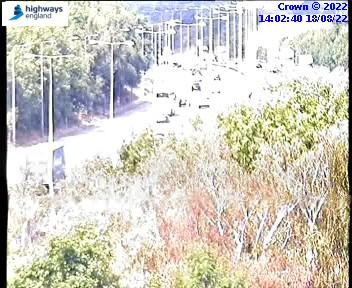 Latest CCTV traffic image from camera #411 on the M1 road. Latest CCTV traffic image from camera #412 on the M1 road. Latest CCTV traffic image from camera #414 on the M1 road. Latest CCTV traffic image from camera #415 on the M1 road. Latest CCTV traffic image from camera #416 on the M1 road. Latest CCTV traffic image from camera #417 on the M1 road. Latest CCTV traffic image from camera #418 on the M1 road. 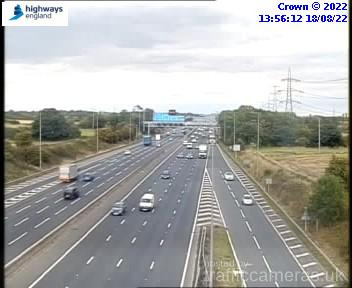 Latest CCTV traffic image from camera #419 on the M1 road. Latest CCTV traffic image from camera #420 on the M1 road. Latest CCTV traffic image from camera #421 on the M1 road. Latest CCTV traffic image from camera #422 on the M1 road. Latest CCTV traffic image from camera #423 on the M1 road. Latest CCTV traffic image from camera #424 on the M1 road. Latest CCTV traffic image from camera #425 on the M1 road. Latest CCTV traffic image from camera #426 on the M1 road. Latest CCTV traffic image from camera #427 on the M1 road. Latest CCTV traffic image from camera #428 on the M1 road. Latest CCTV traffic image from camera #429 on the M1 road. Latest CCTV traffic image from camera #430 on the M1 road. 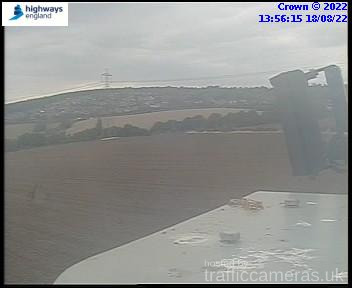 Latest CCTV traffic image from camera #431 on the M1 road. 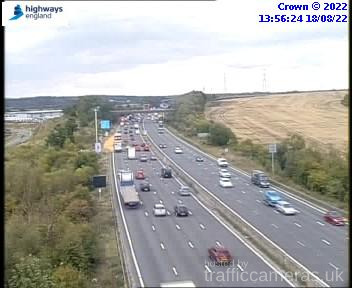 Latest CCTV traffic image from camera #432 on the M1 road. 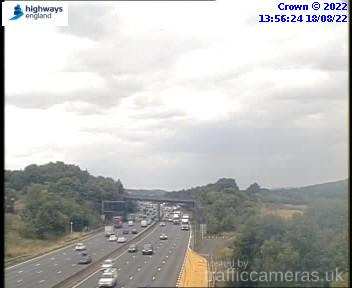 Latest CCTV traffic image from camera #433 on the M1 road. 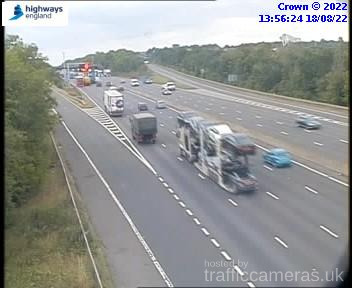 Latest CCTV traffic image from camera #434 on the M1 road. Latest CCTV traffic image from camera #435 on the M1 road. 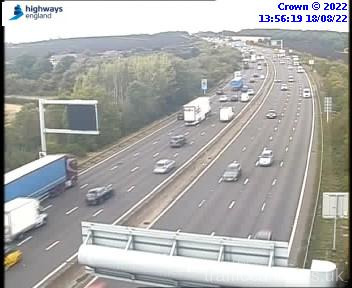 Latest CCTV traffic image from camera #436 on the M1 road. 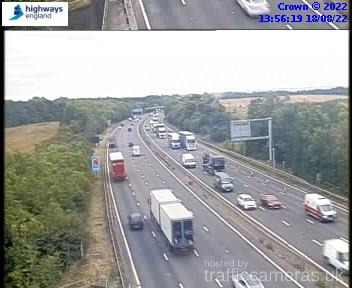 Latest CCTV traffic image from camera #437 on the M1 road. 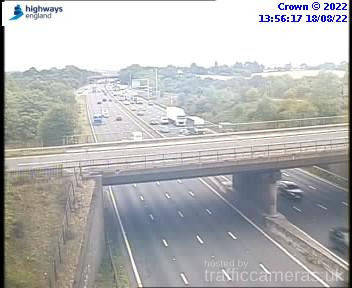 Latest CCTV traffic image from camera #438 on the M1 road. 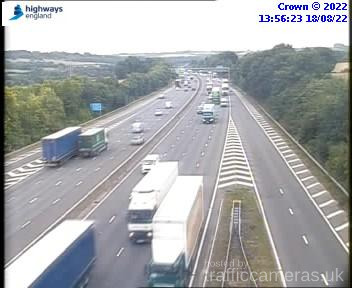 Latest CCTV traffic image from camera #439 on the M1 road. Latest CCTV traffic image from camera #440 on the M1 road. 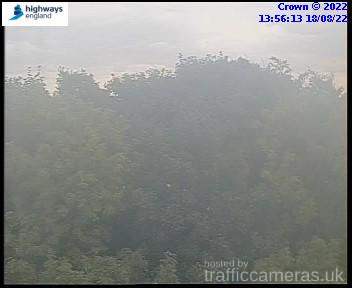 Latest CCTV traffic image from camera #441 on the M1 road. 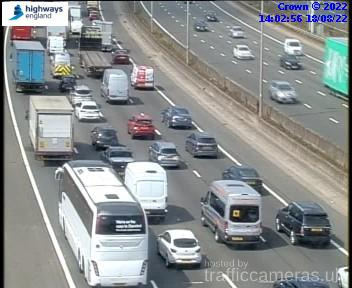 Latest CCTV traffic image from camera #442 on the M1 road. 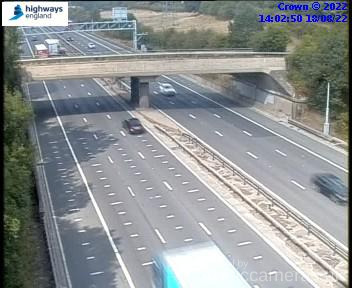 Latest CCTV traffic image from camera #443 on the M1 road. 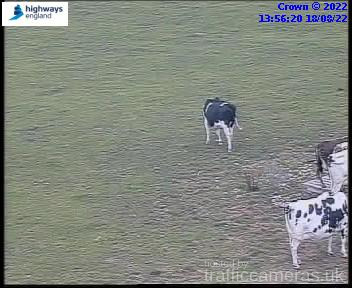 Latest CCTV traffic image from camera #444 on the M1 road. Latest CCTV traffic image from camera #445 on the M1 road. Latest CCTV traffic image from camera #446 on the M1 road. Latest CCTV traffic image from camera #447 on the M1 road. 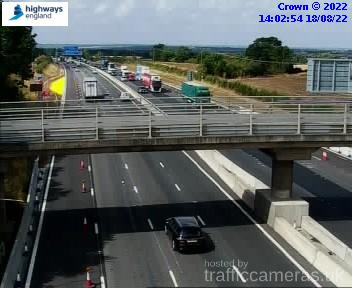 Latest CCTV traffic image from camera #448 on the M1 road. Latest CCTV traffic image from camera #449 on the M1 road. Latest CCTV traffic image from camera #450 on the M1 road. Latest CCTV traffic image from camera #451 on the M1 road. Latest CCTV traffic image from camera #452 on the M1 road. 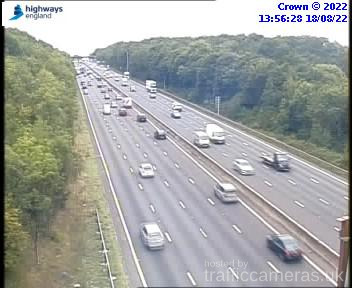 Latest CCTV traffic image from camera #453 on the M1 road. Latest CCTV traffic image from camera #454 on the M1 road. Latest CCTV traffic image from camera #455 on the M1 road. Latest CCTV traffic image from camera #456 on the M1 road. Latest CCTV traffic image from camera #457 on the M1 road. Latest CCTV traffic image from camera #458 on the M1 road. Latest CCTV traffic image from camera #459 on the M1 road. Latest CCTV traffic image from camera #460 on the M1 road. Latest CCTV traffic image from camera #461 on the M1 road. 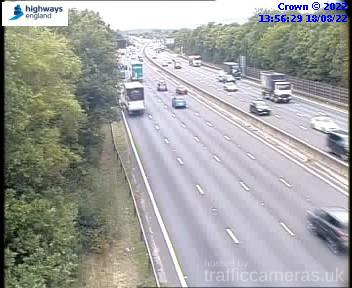 Latest CCTV traffic image from camera #462 on the M1 road. 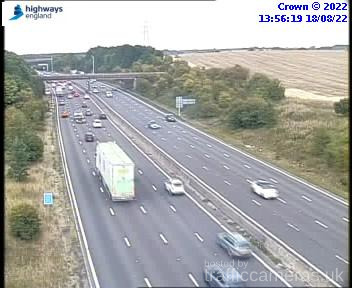 Latest CCTV traffic image from camera #463 on the M1 road. 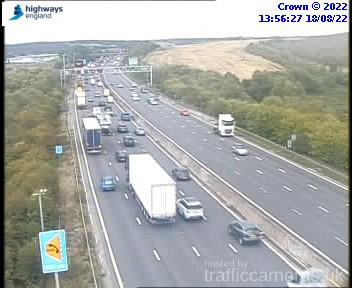 Latest CCTV traffic image from camera #464 on the M1 road. Latest CCTV traffic image from camera #465 on the M1 road. 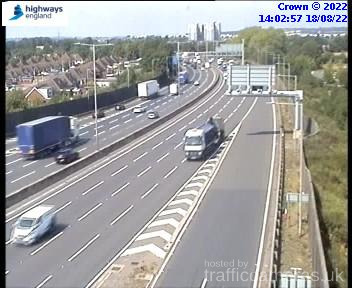 Latest CCTV traffic image from camera #466 on the M1 road. 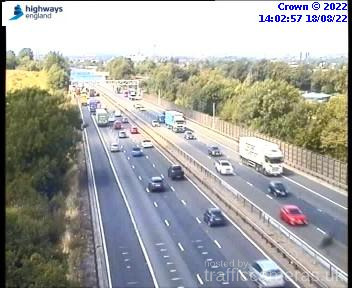 Latest CCTV traffic image from camera #467 on the M1 road. 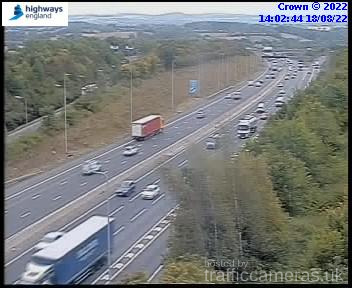 Latest CCTV traffic image from camera #468 on the M1 road. Latest CCTV traffic image from camera #469 on the M1 road. 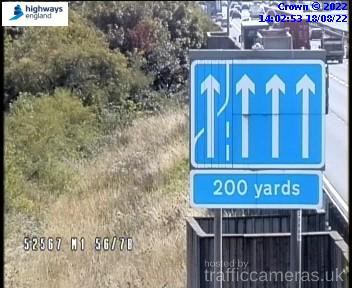 Latest CCTV traffic image from camera #470 on the M1 road. 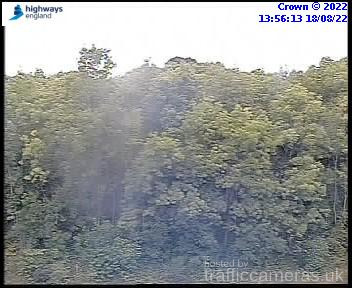 Latest CCTV traffic image from camera #471 on the M1 road. 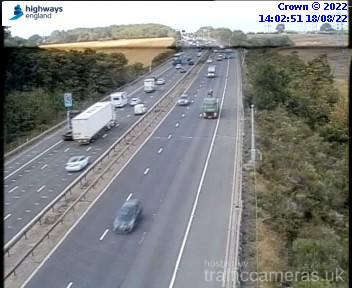 Latest CCTV traffic image from camera #472 on the M1 road. 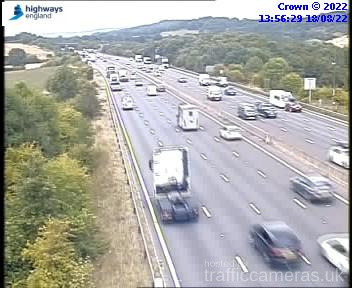 Latest CCTV traffic image from camera #473 on the M1 road. 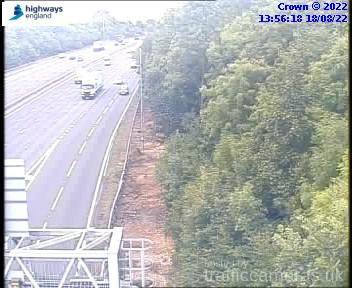 Latest CCTV traffic image from camera #474 on the M1 road. 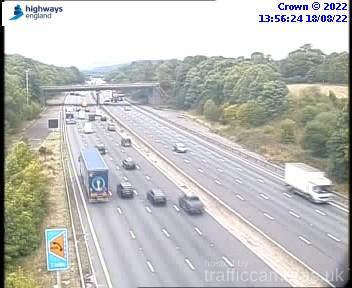 Latest CCTV traffic image from camera #475 on the M1 road. 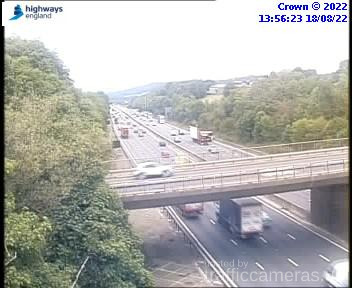 Latest CCTV traffic image from camera #476 on the M1 road. Latest CCTV traffic image from camera #477 on the M1 road. 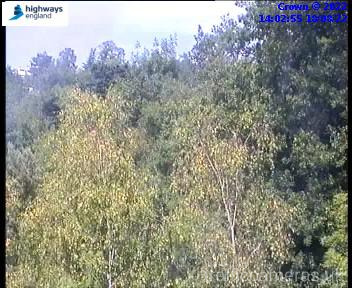 Latest CCTV traffic image from camera #478 on the M1 road. 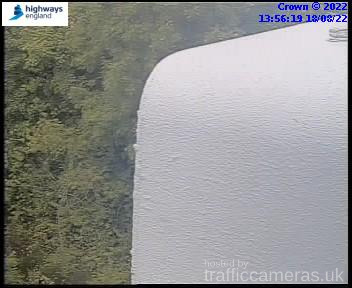 Latest CCTV traffic image from camera #479 on the M1 road. Latest CCTV traffic image from camera #480 on the M1 road. 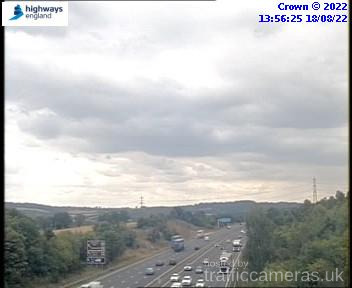 Latest CCTV traffic image from camera #481 on the M1 road. 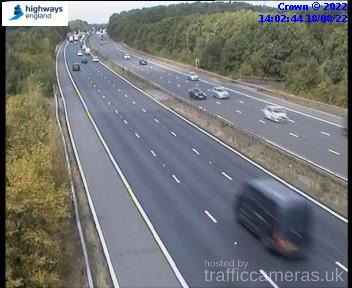 Latest CCTV traffic image from camera #482 on the M1 road. 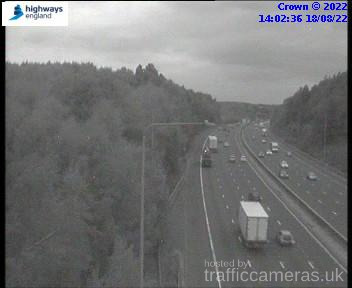 Latest CCTV traffic image from camera #483 on the M1 road. 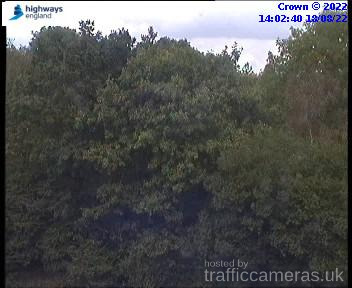 Latest CCTV traffic image from camera #484 on the M1 road. 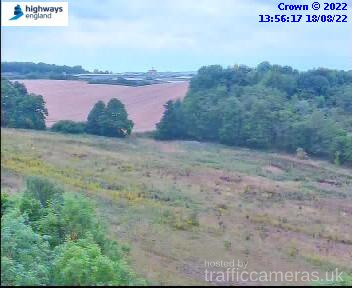 Latest CCTV traffic image from camera #485 on the M1 road. 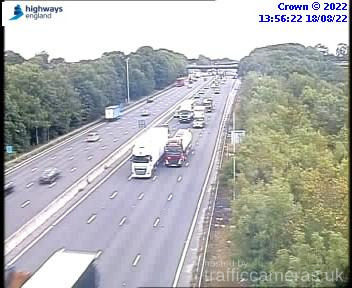 Latest CCTV traffic image from camera #486 on the M1 road. 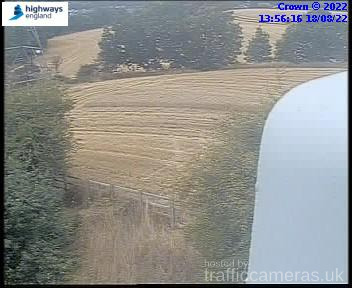 Latest CCTV traffic image from camera #487 on the M1 road. 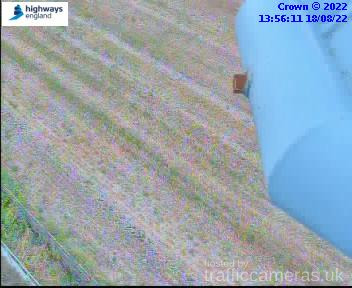 Latest CCTV traffic image from camera #488 on the M1 road. 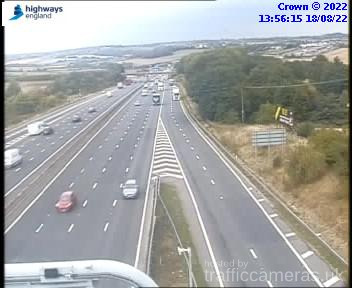 Latest CCTV traffic image from camera #489 on the M1 road. Latest CCTV traffic image from camera #490 on the M1 road. 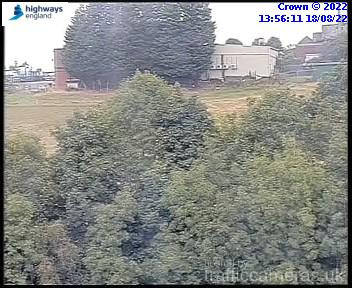 Latest CCTV traffic image from camera #491 on the M1 road. 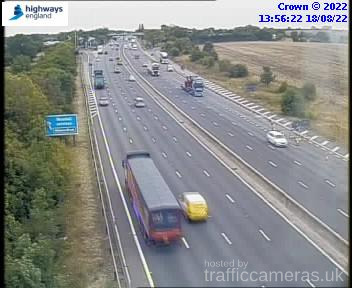 Latest CCTV traffic image from camera #492 on the M1 road. 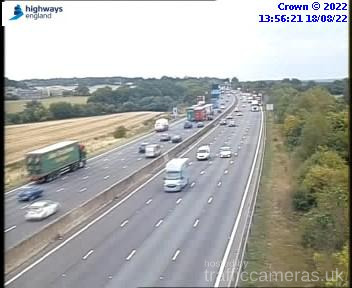 Latest CCTV traffic image from camera #493 on the M1 road. 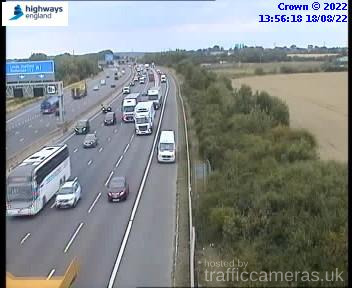 Latest CCTV traffic image from camera #494 on the M1 road. 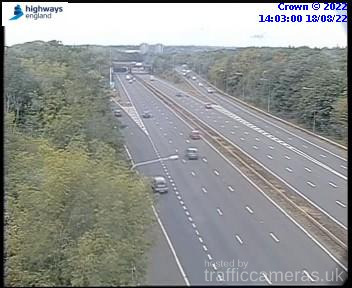 Latest CCTV traffic image from camera #495 on the M1 road. 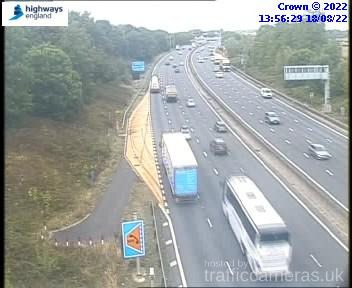 Latest CCTV traffic image from camera #496 on the M1 road. 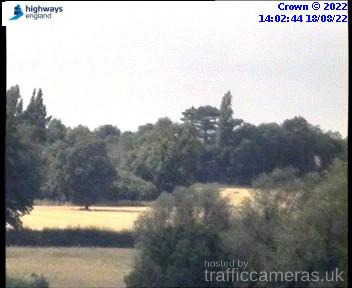 Latest CCTV traffic image from camera #497 on the M1 road. 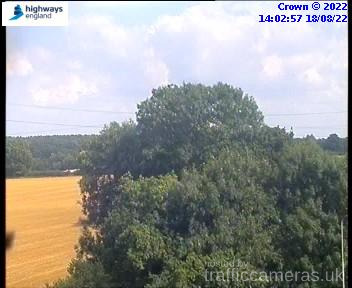 Latest CCTV traffic image from camera #498 on the M1 road. 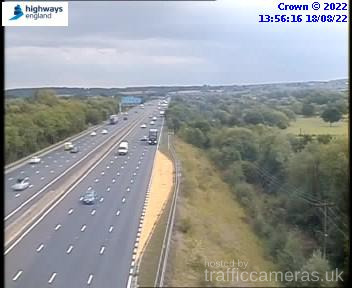 Latest CCTV traffic image from camera #499 on the M1 road. 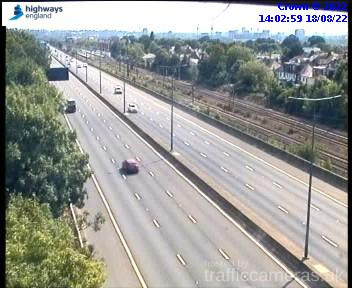 Latest CCTV traffic image from camera #500 on the M1 road. 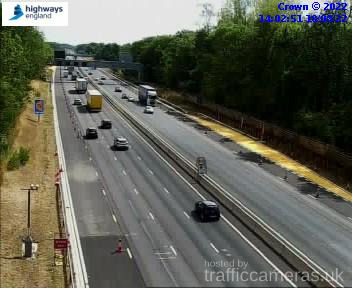 Latest CCTV traffic image from camera #501 on the M1 road. 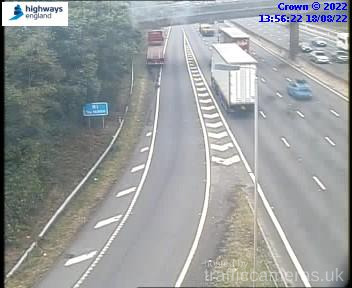 Latest CCTV traffic image from camera #502 on the M1 road. 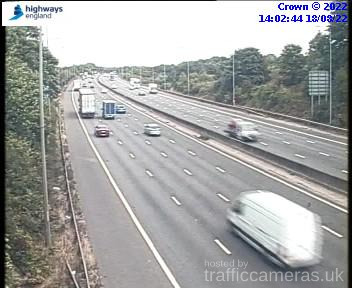 Latest CCTV traffic image from camera #503 on the M1 road. 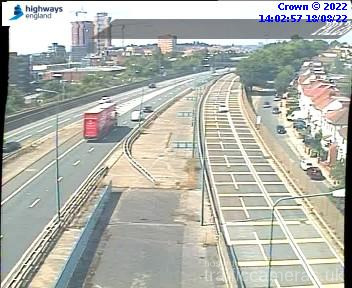 Latest CCTV traffic image from camera #504 on the M1 road. 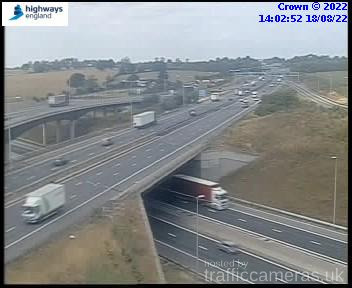 Latest CCTV traffic image from camera #505 on the M1 road. 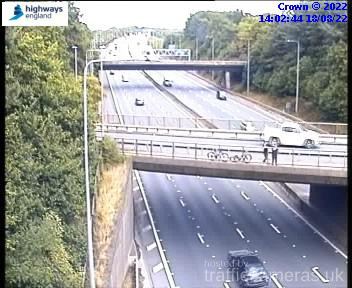 Latest CCTV traffic image from camera #506 on the M1 road. 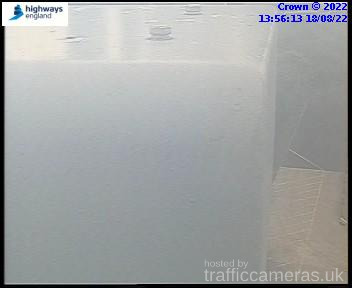 Latest CCTV traffic image from camera #507 on the M1 road. 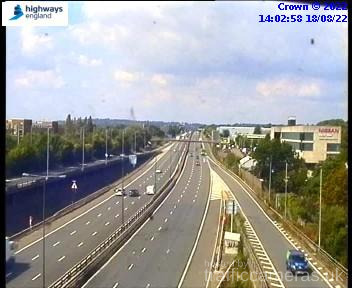 Latest CCTV traffic image from camera #508 on the M1 road. 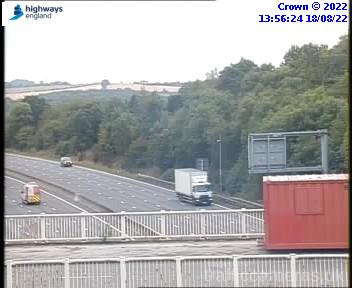 Latest CCTV traffic image from camera #509 on the M1 road. 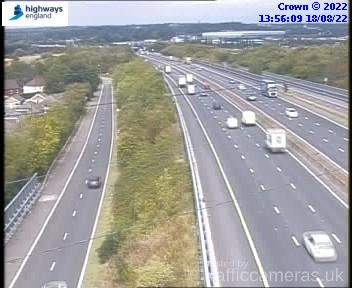 Latest CCTV traffic image from camera #510 on the M1 road. 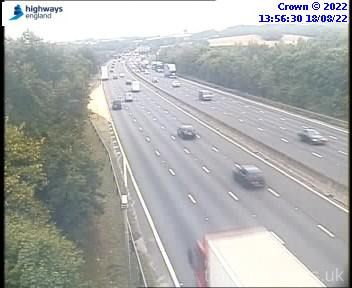 Latest CCTV traffic image from camera #511 on the M1 road. Latest CCTV traffic image from camera #512 on the M1 road. 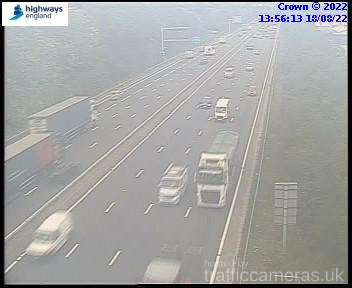 Latest CCTV traffic image from camera #513 on the M1 road. 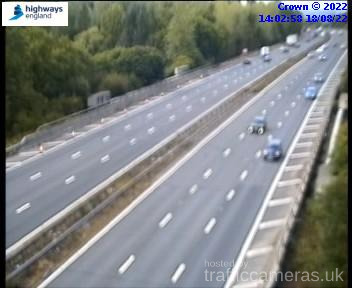 Latest CCTV traffic image from camera #514 on the M1 road. 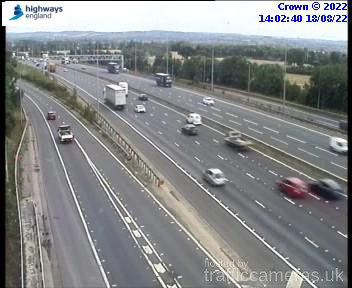 Latest CCTV traffic image from camera #515 on the M1 road. 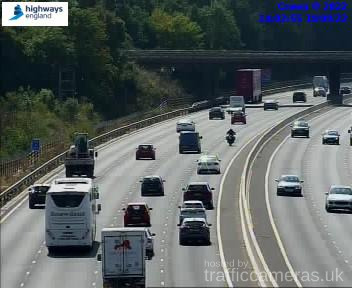 Latest CCTV traffic image from camera #516 on the M1 road. 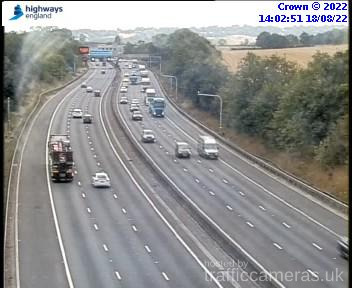 Latest CCTV traffic image from camera #517 on the M1 road. 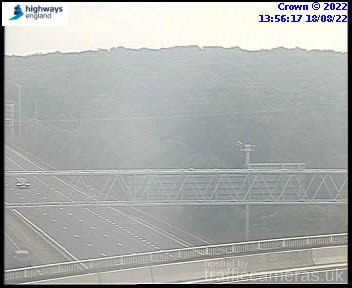 Latest CCTV traffic image from camera #518 on the M1 road. 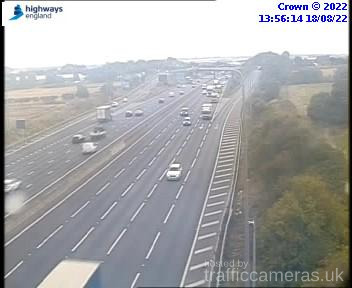 Latest CCTV traffic image from camera #519 on the M1 road. Latest CCTV traffic image from camera #520 on the M1 road. 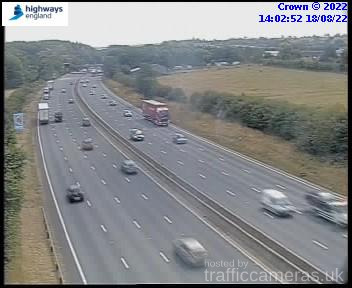 Latest CCTV traffic image from camera #521 on the M1 road. 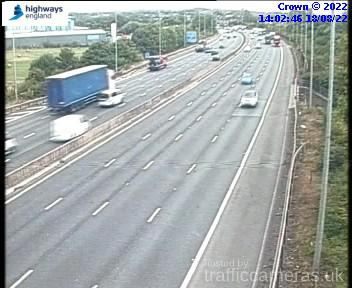 Latest CCTV traffic image from camera #522 on the M1 road. 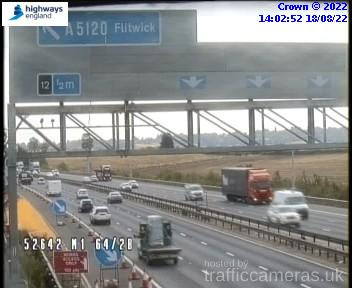 Latest CCTV traffic image from camera #523 on the M1 road. 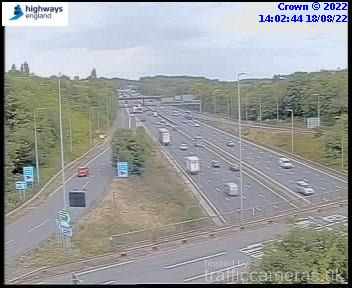 Latest CCTV traffic image from camera #524 on the M1 road. 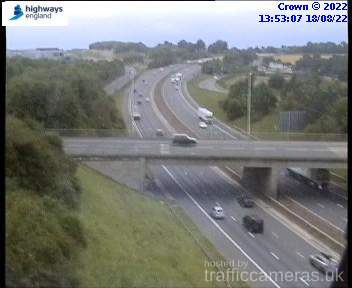 Latest CCTV traffic image from camera #525 on the M1 road. 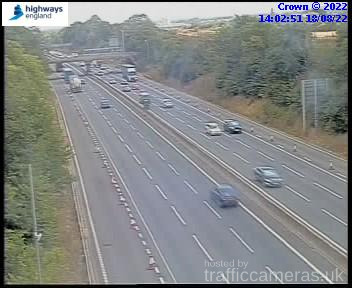 Latest CCTV traffic image from camera #526 on the M1 road. 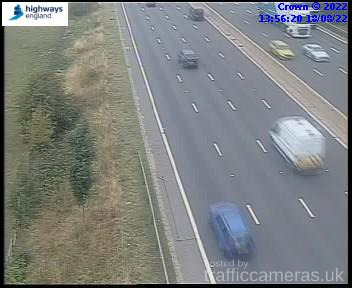 Latest CCTV traffic image from camera #527 on the M1 road. 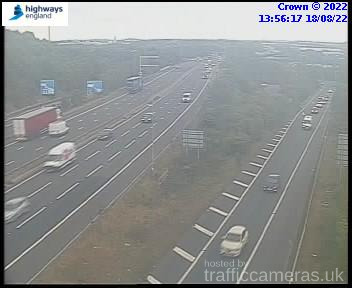 Latest CCTV traffic image from camera #528 on the M1 road. 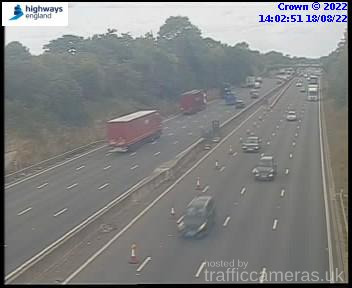 Latest CCTV traffic image from camera #529 on the M1 road. 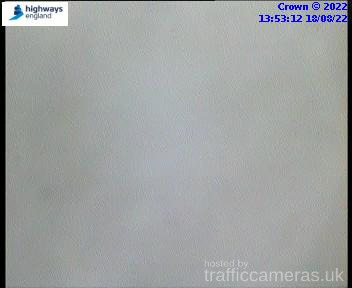 Latest CCTV traffic image from camera #530 on the M1 road. 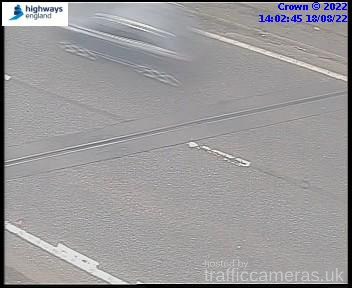 Latest CCTV traffic image from camera #531 on the M1 road. 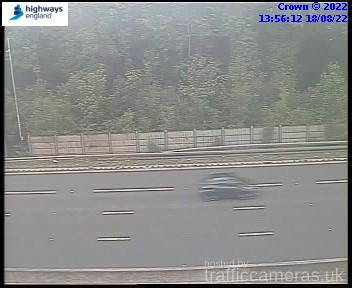 Latest CCTV traffic image from camera #532 on the M1 road. 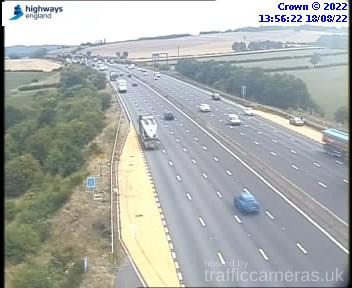 Latest CCTV traffic image from camera #533 on the M1 road. 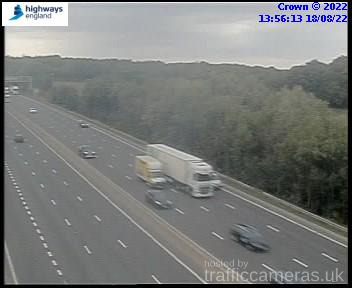 Latest CCTV traffic image from camera #534 on the M1 road. 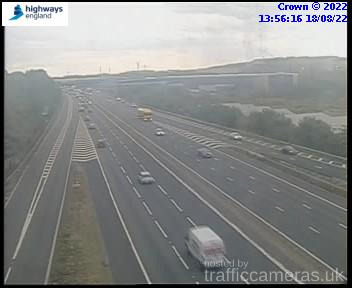 Latest CCTV traffic image from camera #535 on the M1 road. 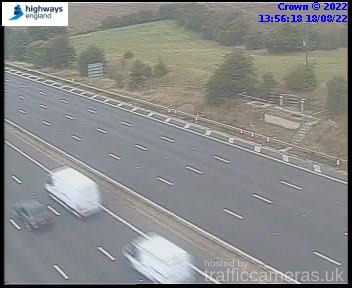 Latest CCTV traffic image from camera #536 on the M1 road. 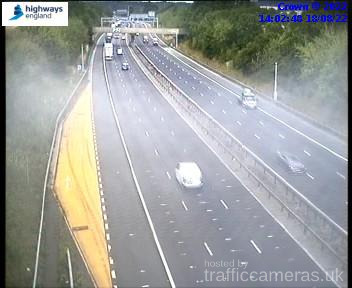 Latest CCTV traffic image from camera #537 on the M1 road. 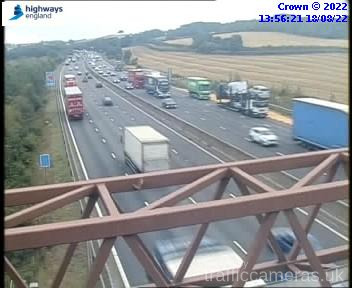 Latest CCTV traffic image from camera #538 on the M1 road. 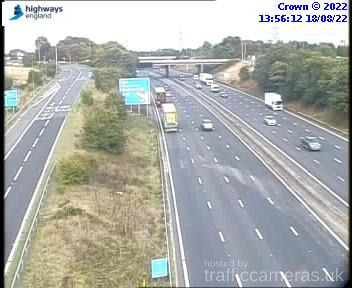 Latest CCTV traffic image from camera #539 on the M1 road. 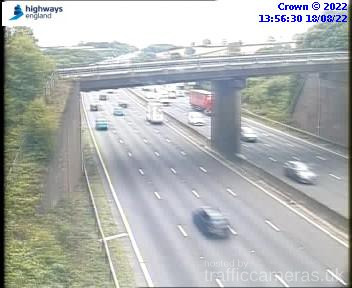 Latest CCTV traffic image from camera #540 on the M1 road. 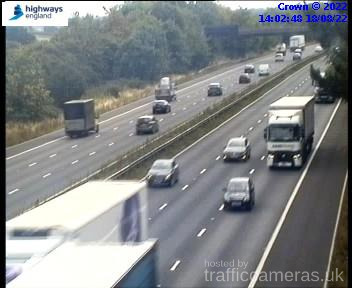 Latest CCTV traffic image from camera #541 on the M1 road. 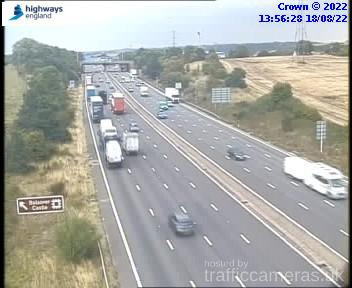 Latest CCTV traffic image from camera #543 on the M1 road. 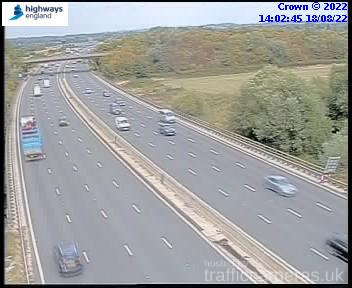 Latest CCTV traffic image from camera #545 on the M1 road. 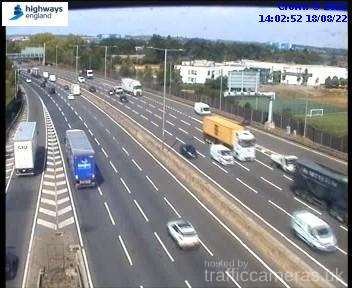 Latest CCTV traffic image from camera #546 on the M1 road. 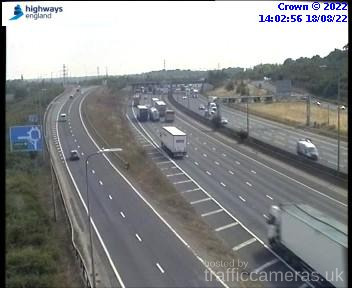 Latest CCTV traffic image from camera #547 on the M1 road. 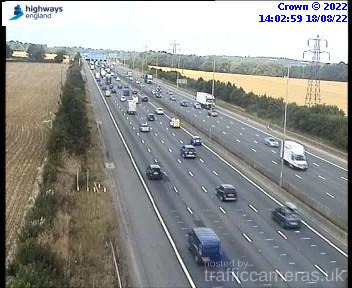 Latest CCTV traffic image from camera #548 on the M1 road. 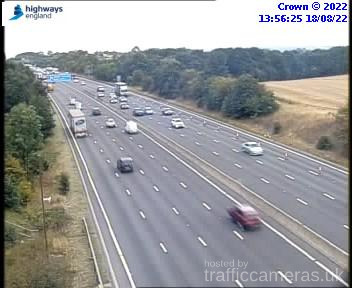 Latest CCTV traffic image from camera #549 on the M1 road. 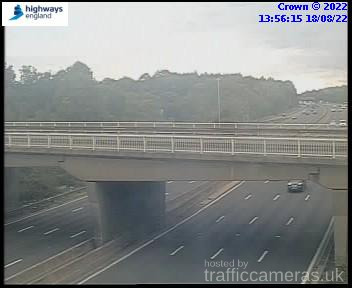 Latest CCTV traffic image from camera #550 on the M1 road. 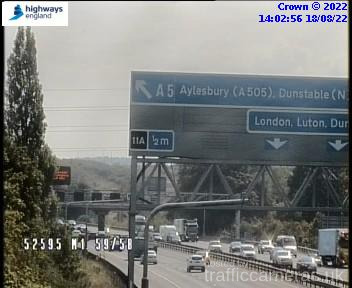 Latest CCTV traffic image from camera #551 on the M1 road. 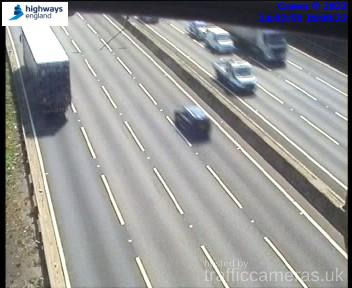 Latest CCTV traffic image from camera #552 on the M1 road. 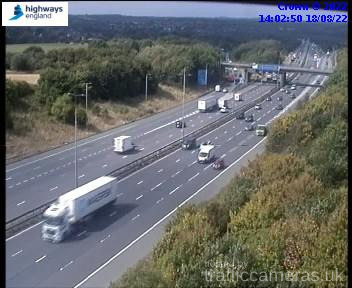 Latest CCTV traffic image from camera #553 on the M1 road. 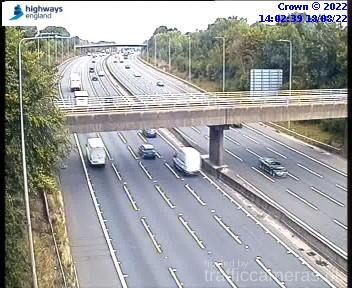 Latest CCTV traffic image from camera #554 on the M1 road. 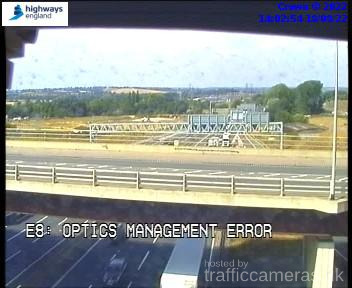 Latest CCTV traffic image from camera #555 on the M1 road. 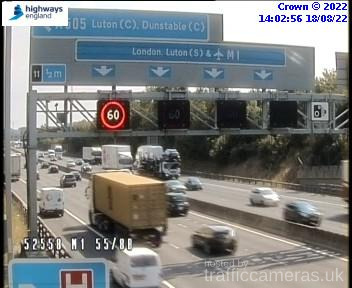 Latest CCTV traffic image from camera #556 on the M1 road. 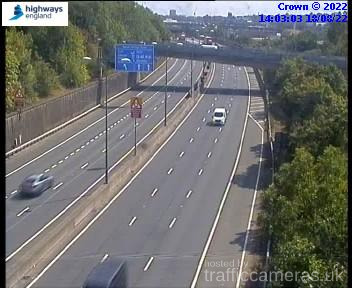 Latest CCTV traffic image from camera #557 on the M1 road. 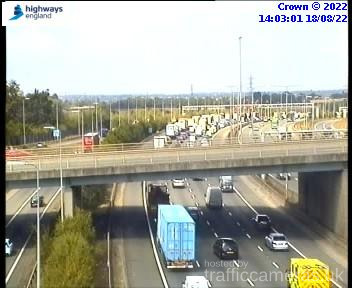 Latest CCTV traffic image from camera #558 on the M1 road. 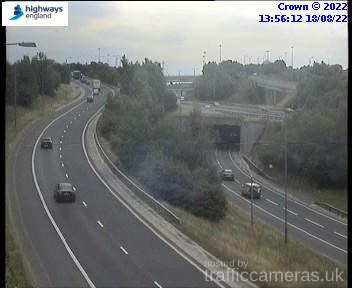 Latest CCTV traffic image from camera #559 on the M1 road. 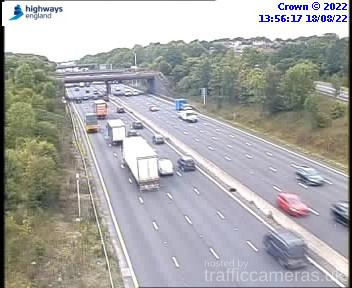 Latest CCTV traffic image from camera #560 on the M1 road. 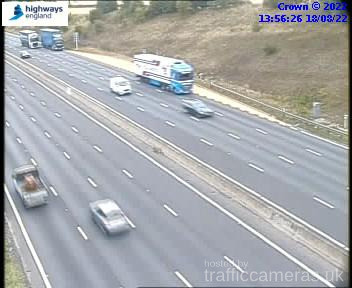 Latest CCTV traffic image from camera #561 on the M1 road. 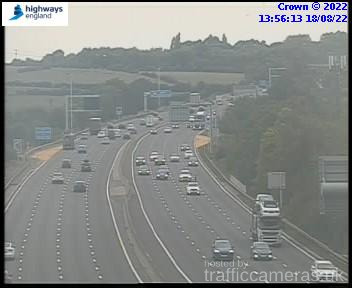 Latest CCTV traffic image from camera #562 on the M1 road. 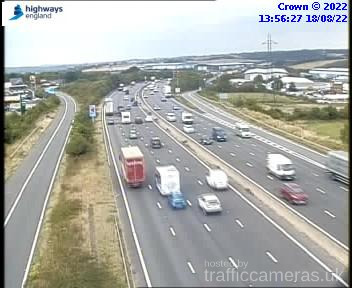 Latest CCTV traffic image from camera #563 on the M1 road. 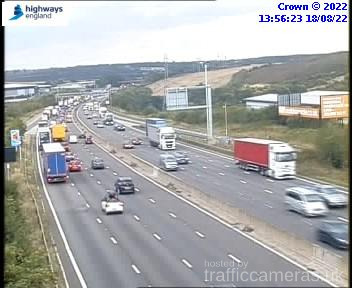 Latest CCTV traffic image from camera #564 on the M1 road. 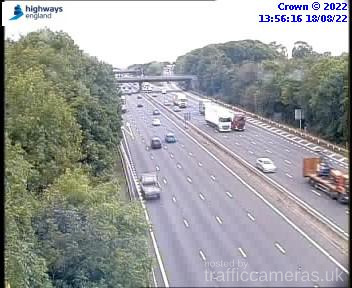 Latest CCTV traffic image from camera #565 on the M1 road. 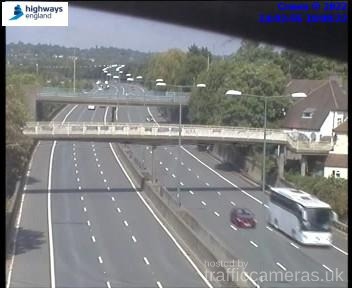 Latest CCTV traffic image from camera #566 on the M1 road. 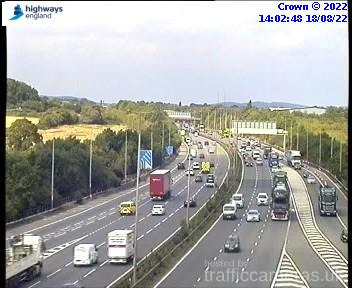 Latest CCTV traffic image from camera #567 on the M1 road. 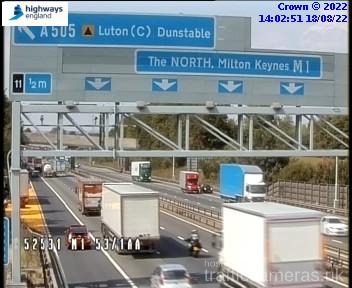 Latest CCTV traffic image from camera #568 on the M1 road. 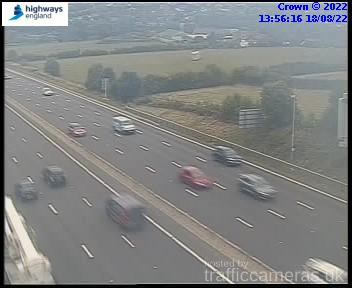 Latest CCTV traffic image from camera #569 on the M1 road. 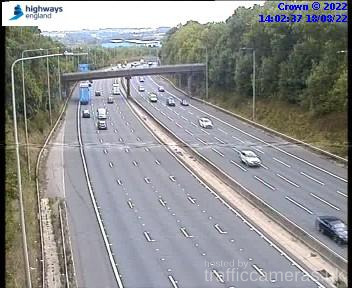 Latest CCTV traffic image from camera #570 on the M1 road. 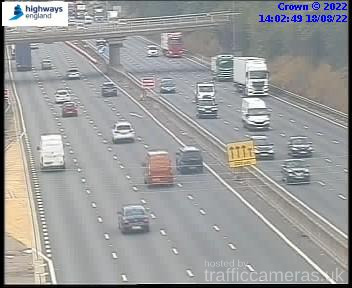 Latest CCTV traffic image from camera #572 on the M1 road. 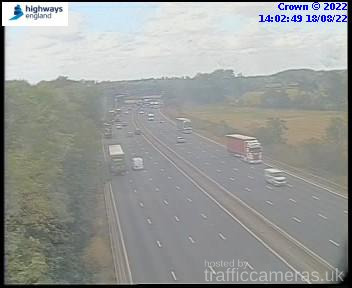 Latest CCTV traffic image from camera #574 on the M1 road. 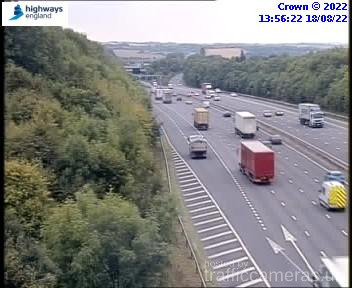 Latest CCTV traffic image from camera #576 on the M1 road. 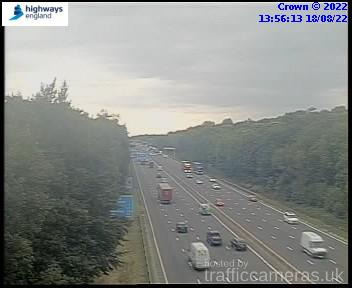 Latest CCTV traffic image from camera #578 on the M1 road. 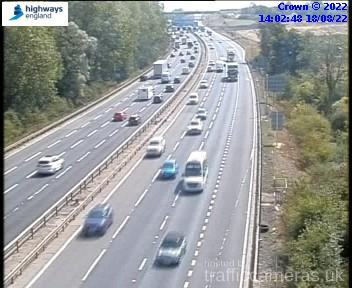 Latest CCTV traffic image from camera #579 on the M1 road. Latest CCTV traffic image from camera #580 on the M1 road. 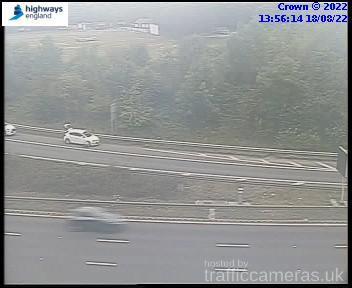 Latest CCTV traffic image from camera #581 on the M1 road. 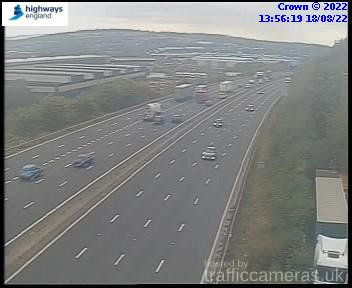 Latest CCTV traffic image from camera #582 on the M1 road. 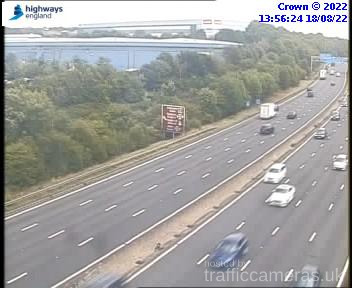 Latest CCTV traffic image from camera #583 on the M1 road. 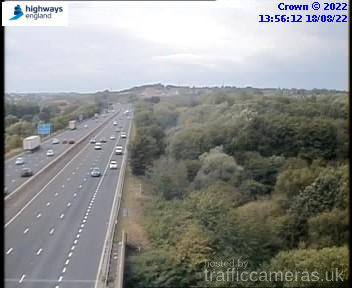 Latest CCTV traffic image from camera #584 on the M1 road. 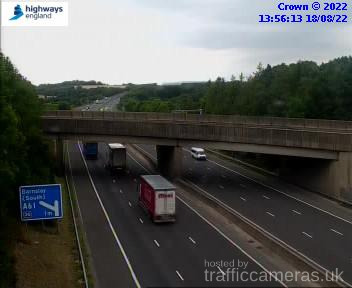 Latest CCTV traffic image from camera #585 on the M1 road. 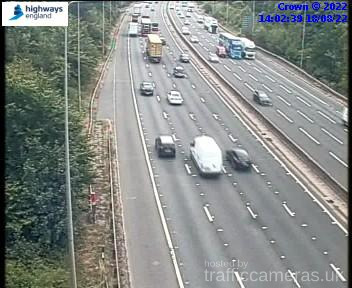 Latest CCTV traffic image from camera #586 on the M1 road. 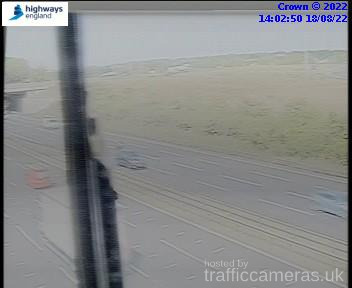 Latest CCTV traffic image from camera #588 on the M1 road. 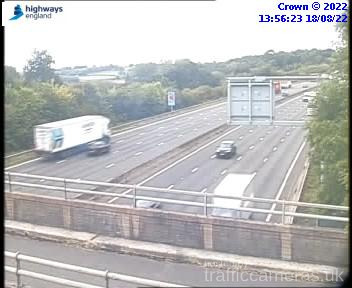 Latest CCTV traffic image from camera #589 on the M1 road. 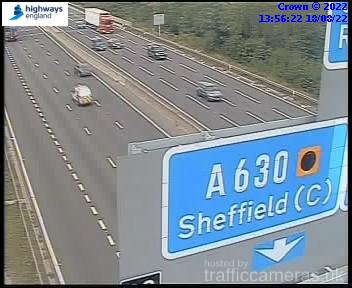 Latest CCTV traffic image from camera #590 on the M1 road. 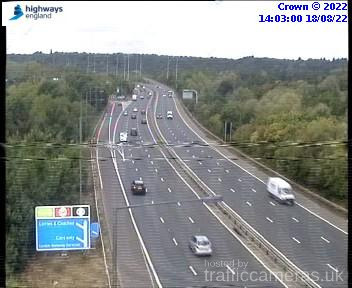 Latest CCTV traffic image from camera #591 on the M1 road. 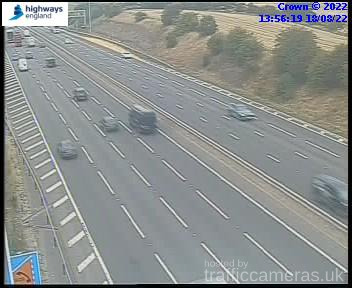 Latest CCTV traffic image from camera #592 on the M1 road. 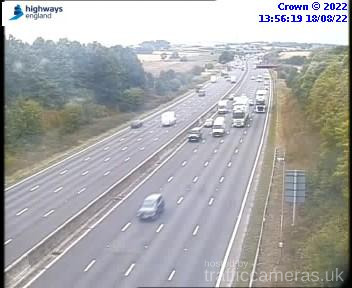 Latest CCTV traffic image from camera #593 on the M1 road. 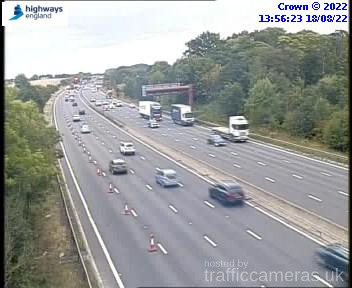 Latest CCTV traffic image from camera #594 on the M1 road. 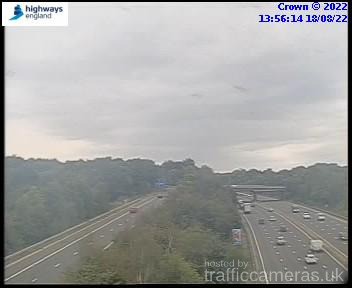 Latest CCTV traffic image from camera #595 on the M1 road. 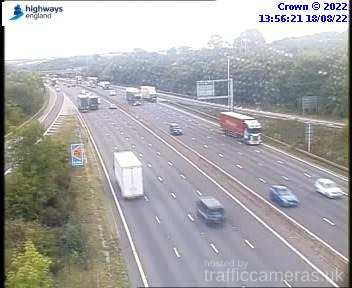 Latest CCTV traffic image from camera #596 on the M1 road. 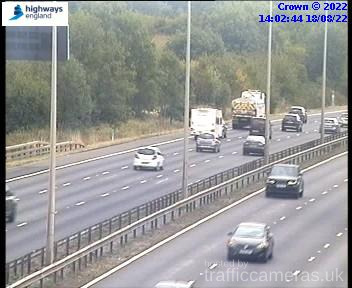 Latest CCTV traffic image from camera #597 on the M1 road. 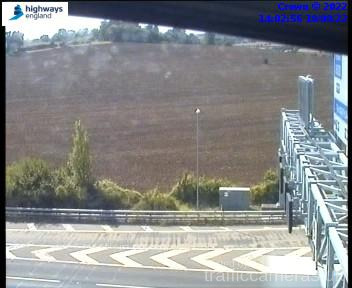 Latest CCTV traffic image from camera #598 on the M1 road. 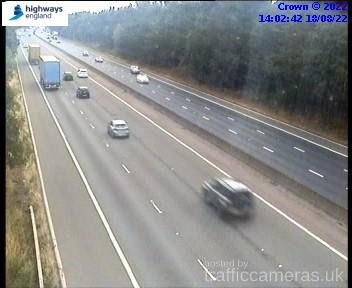 Latest CCTV traffic image from camera #599 on the M1 road. Latest CCTV traffic image from camera #601 on the M1 road. Latest CCTV traffic image from camera #602 on the M1 road. 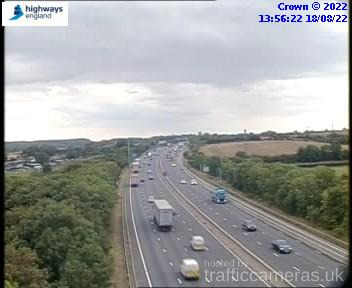 Latest CCTV traffic image from camera #605 on the M1 road. Latest CCTV traffic image from camera #606 on the M1 road. Latest CCTV traffic image from camera #607 on the M1 road. Latest CCTV traffic image from camera #608 on the M1 road. Latest CCTV traffic image from camera #609 on the M1 road. Latest CCTV traffic image from camera #610 on the M1 road. Latest CCTV traffic image from camera #611 on the M1 road. Latest CCTV traffic image from camera #612 on the M1 road. Latest CCTV traffic image from camera #613 on the M1 road. Latest CCTV traffic image from camera #614 on the M1 road. Latest CCTV traffic image from camera #615 on the M1 road. Latest CCTV traffic image from camera #616 on the M1 road. Latest CCTV traffic image from camera #617 on the M1 road. 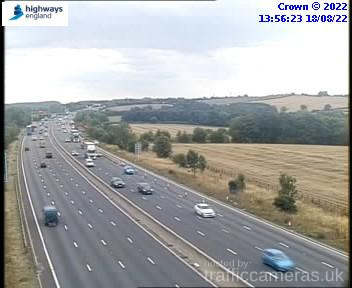 Latest CCTV traffic image from camera #618 on the M1 road. Latest CCTV traffic image from camera #619 on the M1 road. Latest CCTV traffic image from camera #620 on the M1 road. 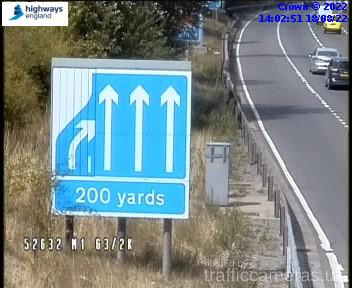 Latest CCTV traffic image from camera #621 on the M1 road. 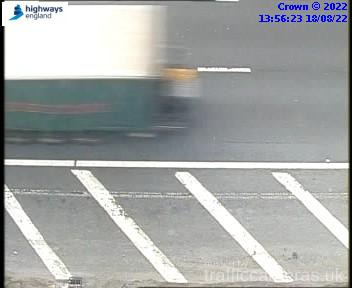 Latest CCTV traffic image from camera #622 on the M1 road. 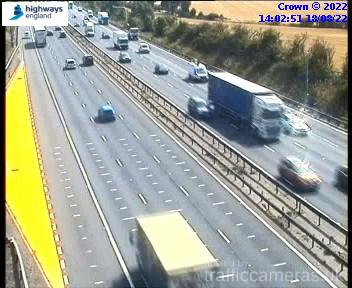 Latest CCTV traffic image from camera #623 on the M1 road. 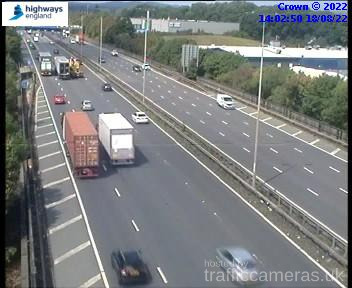 Latest CCTV traffic image from camera #624 on the M1 road. 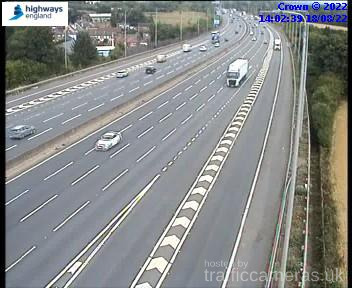 Latest CCTV traffic image from camera #625 on the M1 road. 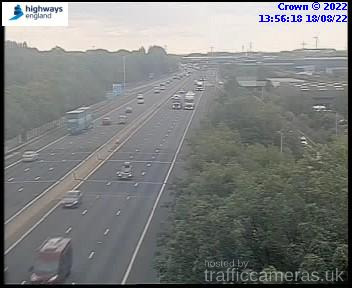 Latest CCTV traffic image from camera #626 on the M1 road. 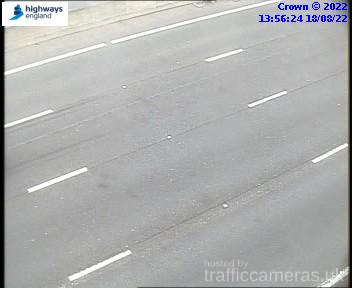 Latest CCTV traffic image from camera #627 on the M1 road. 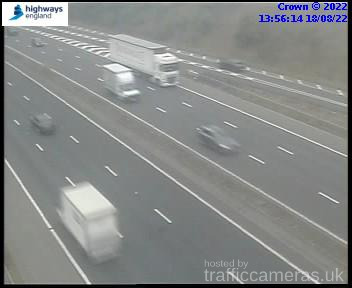 Latest CCTV traffic image from camera #628 on the M1 road. Latest CCTV traffic image from camera #630 on the M1 road. 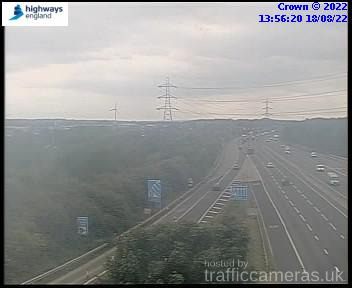 Latest CCTV traffic image from camera #631 on the M1 road. 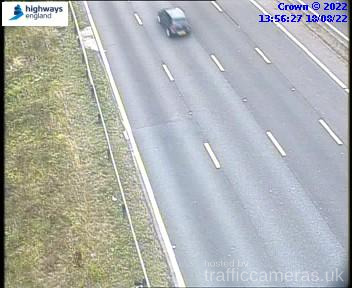 Latest CCTV traffic image from camera #632 on the M1 road. 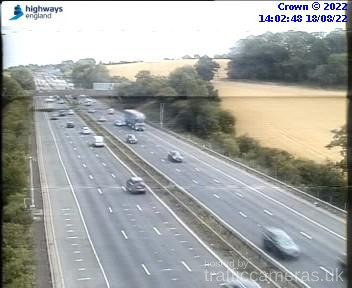 Latest CCTV traffic image from camera #633 on the M1 road. 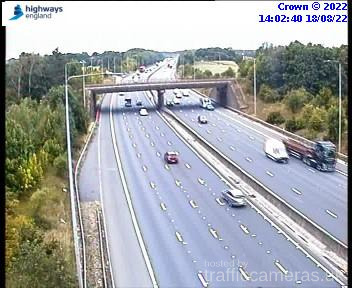 Latest CCTV traffic image from camera #634 on the M1 road. 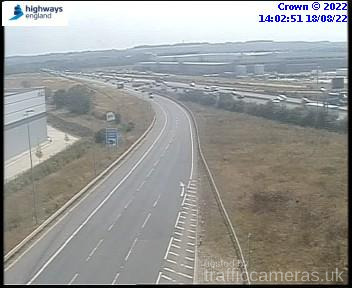 Latest CCTV traffic image from camera #635 on the M1 road. 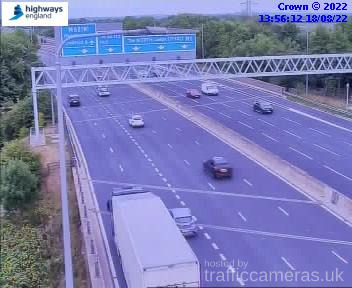 Latest CCTV traffic image from camera #636 on the M1 road. 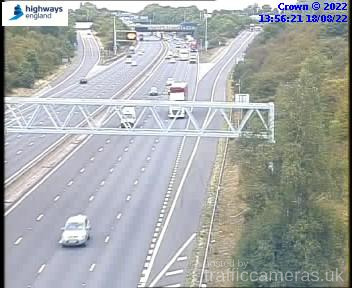 Latest CCTV traffic image from camera #637 on the M1 road. 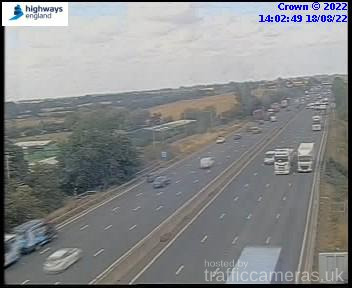 Latest CCTV traffic image from camera #638 on the M1 road. 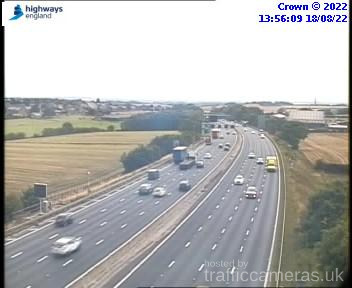 Latest CCTV traffic image from camera #639 on the M1 road. 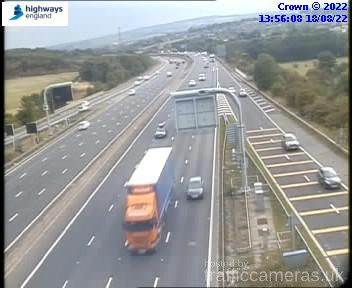 Latest CCTV traffic image from camera #640 on the M1 road. 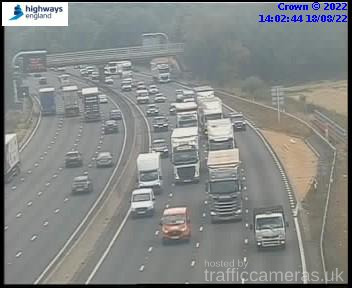 Latest CCTV traffic image from camera #641 on the M1 road. 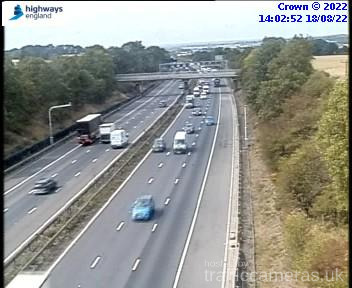 Latest CCTV traffic image from camera #642 on the M1 road. 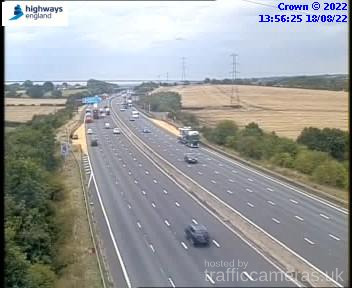 Latest CCTV traffic image from camera #643 on the M1 road. 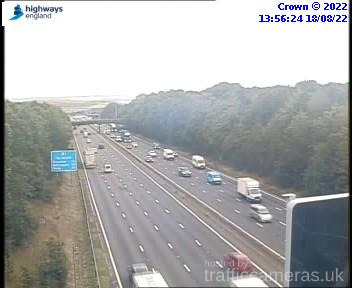 Latest CCTV traffic image from camera #644 on the M1 road. 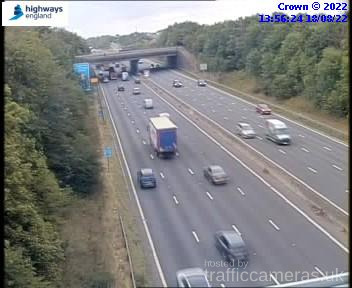 Latest CCTV traffic image from camera #645 on the M1 road. 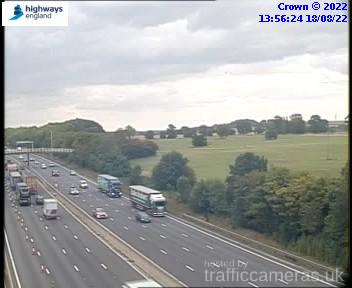 Latest CCTV traffic image from camera #646 on the M1 road. 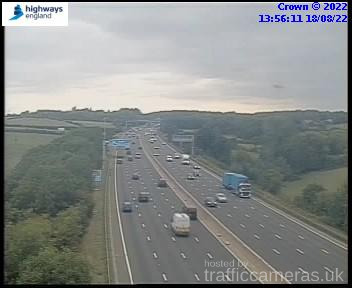 Latest CCTV traffic image from camera #648 on the M1 road. 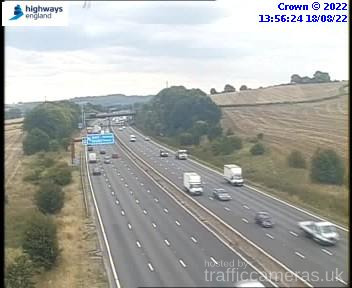 Latest CCTV traffic image from camera #649 on the M1 road. 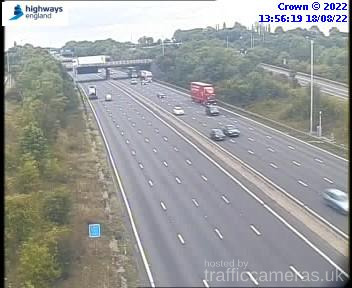 Latest CCTV traffic image from camera #650 on the M1 road. 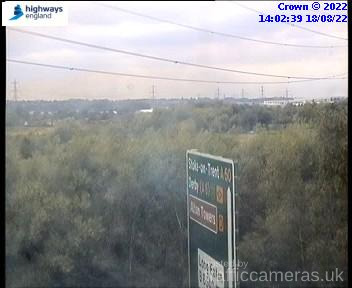 Latest CCTV traffic image from camera #651 on the M1 road. 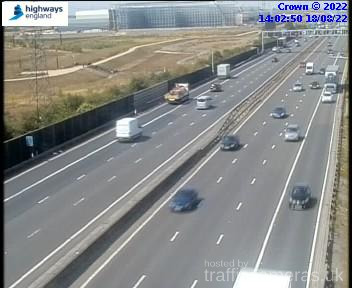 Latest CCTV traffic image from camera #652 on the M1 road. 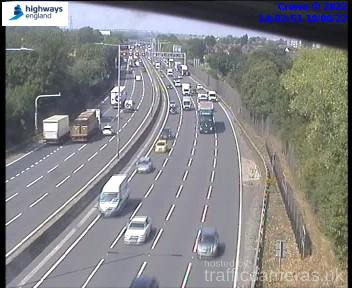 Latest CCTV traffic image from camera #653 on the M1 road. 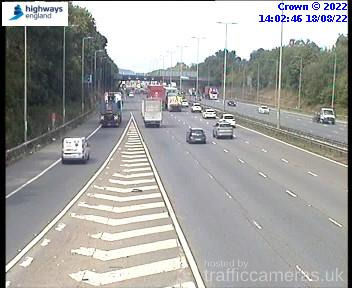 Latest CCTV traffic image from camera #654 on the M1 road. 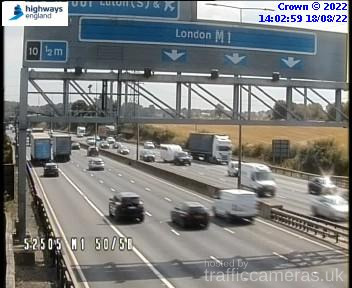 Latest CCTV traffic image from camera #655 on the M1 road. 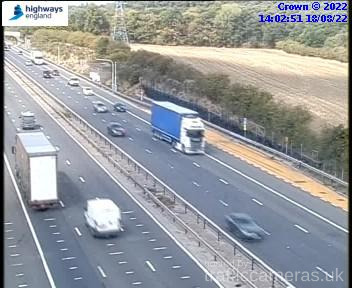 Latest CCTV traffic image from camera #656 on the M1 road. 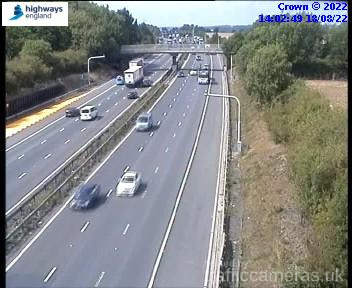 Latest CCTV traffic image from camera #657 on the M1 road. 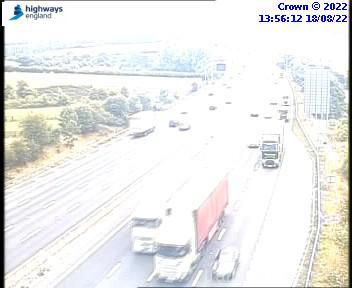 Latest CCTV traffic image from camera #659 on the M1 road. Latest CCTV traffic image from camera #660 on the M1 road. 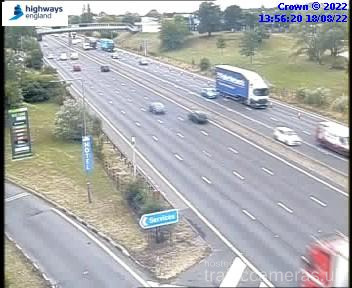 Latest CCTV traffic image from camera #661 on the M1 road. 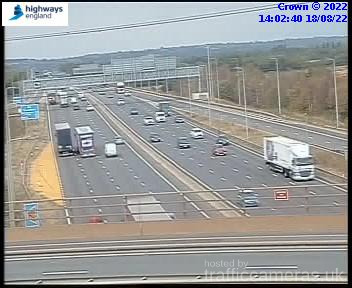 Latest CCTV traffic image from camera #662 on the M1 road. 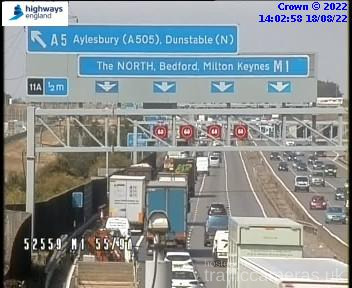 Latest CCTV traffic image from camera #663 on the M1 road. 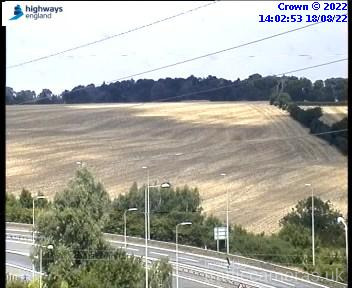 Latest CCTV traffic image from camera #664 on the M1 road. 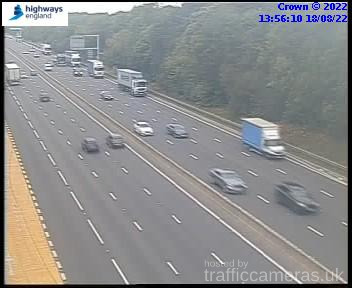 Latest CCTV traffic image from camera #665 on the M1 road. Latest CCTV traffic image from camera #666 on the M1 road. 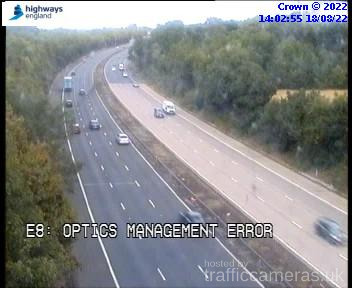 Latest CCTV traffic image from camera #667 on the M1 road. 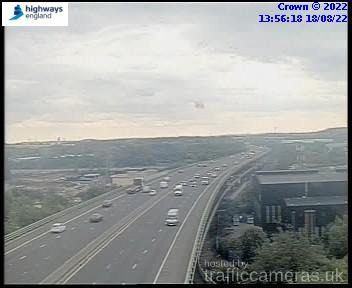 Latest CCTV traffic image from camera #668 on the M1 road. Latest CCTV traffic image from camera #670 on the M1 road. 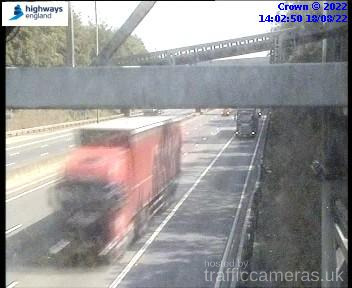 Latest CCTV traffic image from camera #671 on the M1 road. 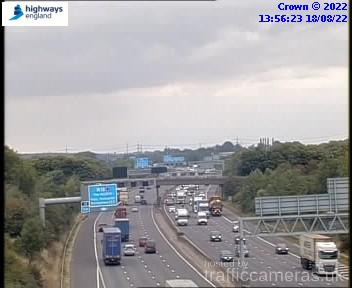 Latest CCTV traffic image from camera #672 on the M1 road. 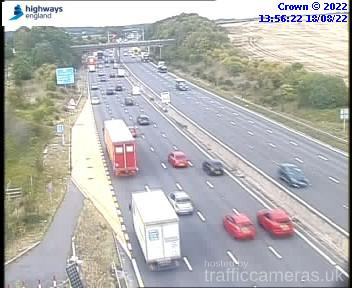 Latest CCTV traffic image from camera #673 on the M1 road. 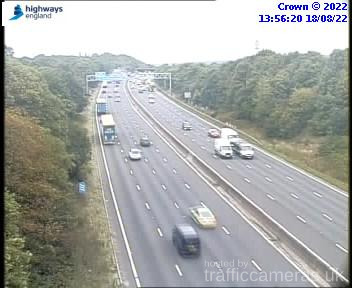 Latest CCTV traffic image from camera #674 on the M1 road. 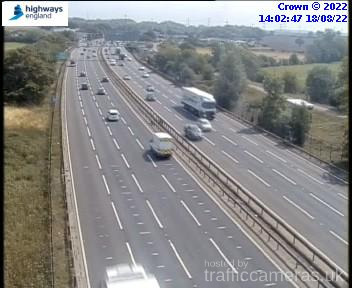 Latest CCTV traffic image from camera #675 on the M1 road. 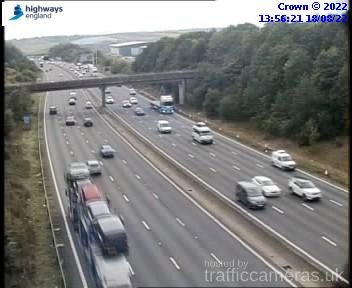 Latest CCTV traffic image from camera #676 on the M1 road. 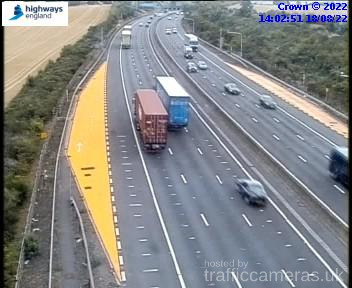 Latest CCTV traffic image from camera #677 on the M1 road. 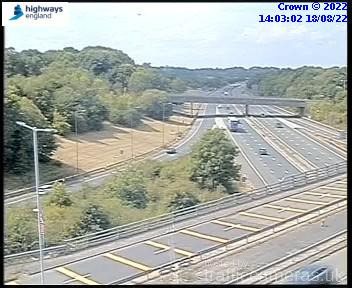 Latest CCTV traffic image from camera #678 on the M1 road. 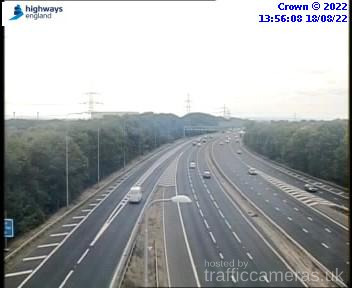 Latest CCTV traffic image from camera #679 on the M1 road. Latest CCTV traffic image from camera #680 on the M1 road. 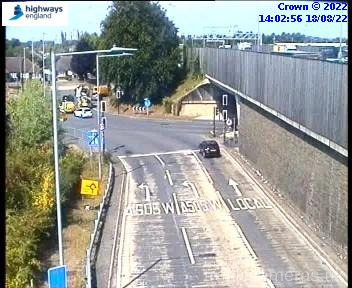 Latest CCTV traffic image from camera #681 on the M1 road. 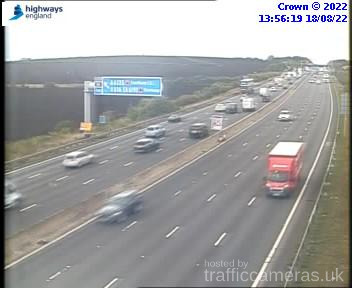 Latest CCTV traffic image from camera #682 on the M1 road. 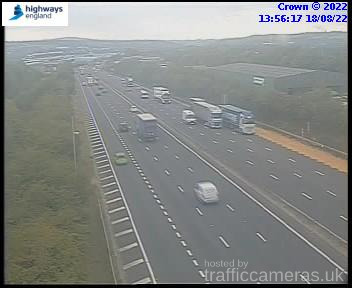 Latest CCTV traffic image from camera #683 on the M1 road. 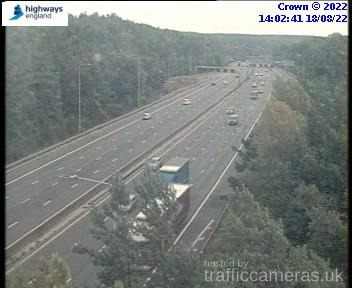 Latest CCTV traffic image from camera #684 on the M1 road. 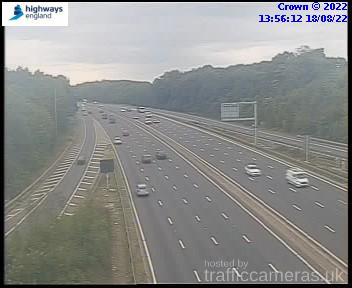 Latest CCTV traffic image from camera #685 on the M1 road. 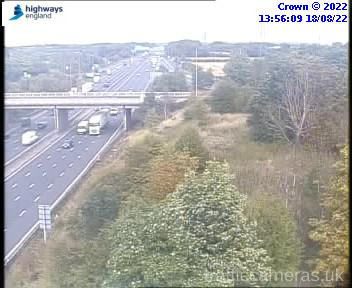 Latest CCTV traffic image from camera #686 on the M1 road. 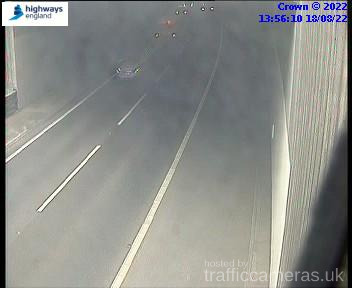 Latest CCTV traffic image from camera #687 on the M1 road. 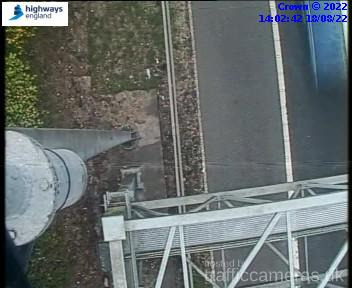 Latest CCTV traffic image from camera #688 on the M1 road. 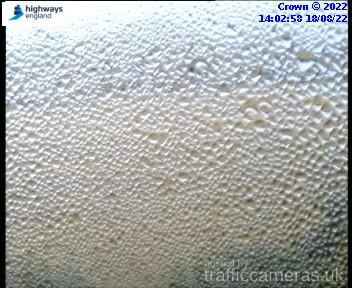 Latest CCTV traffic image from camera #689 on the M1 road. Latest CCTV traffic image from camera #690 on the M1 road. 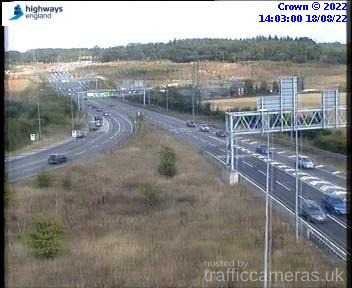 Latest CCTV traffic image from camera #691 on the M1 road.